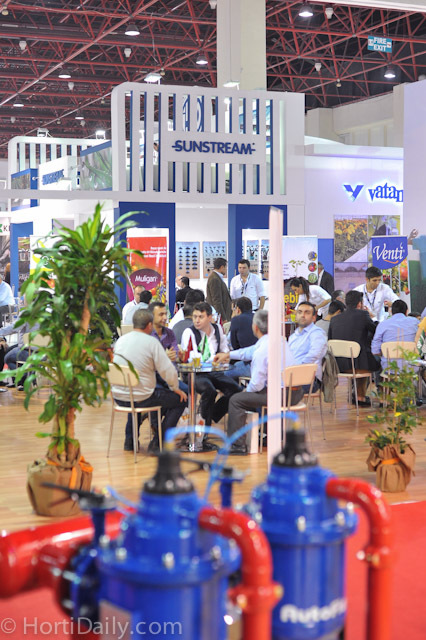 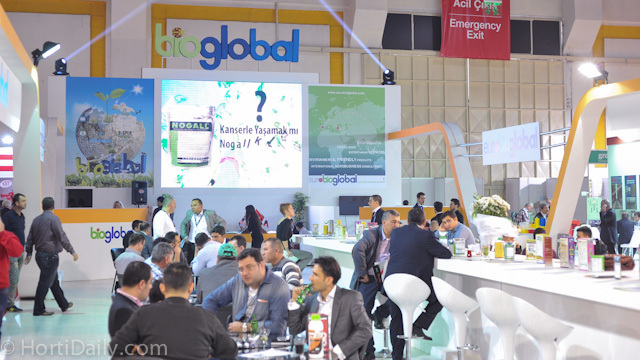 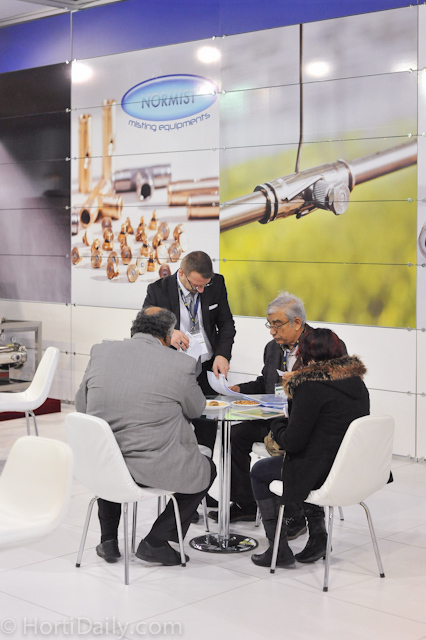 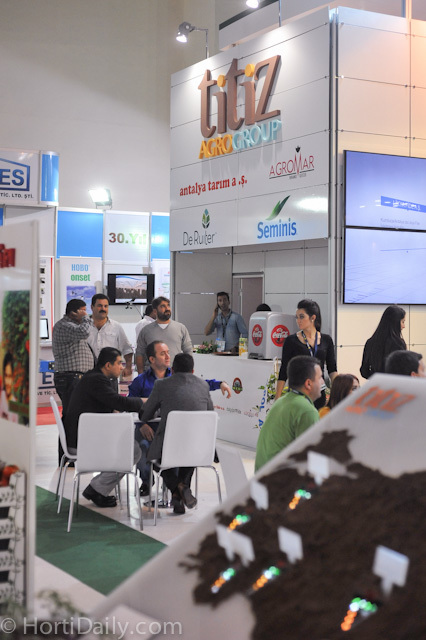 Growtech Eurasia 2014, Antalya, Turkey. 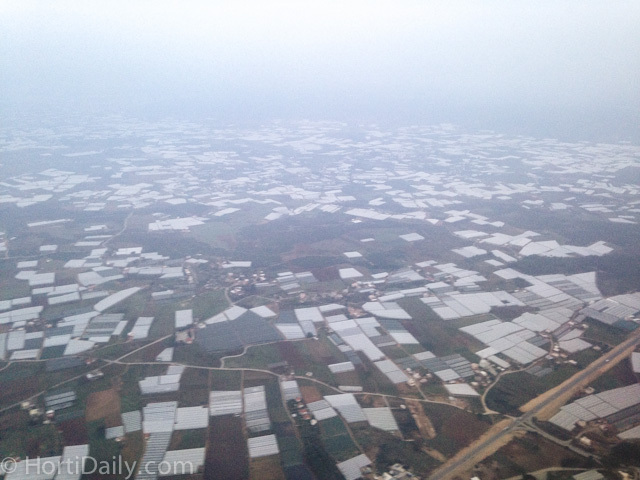 Turkey is a greenhouse giant; flying to Antalya we already see many greenhouses. 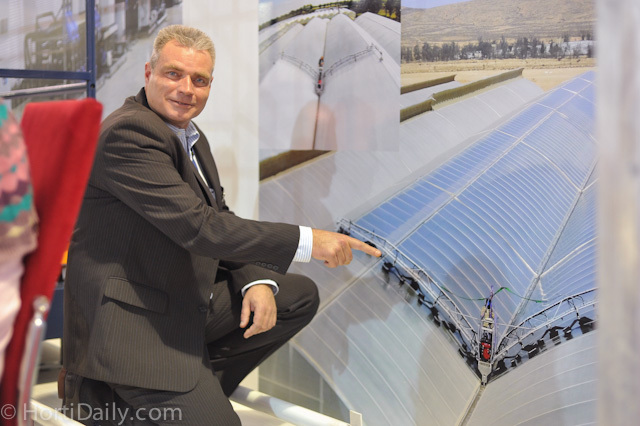 According to a Rabobank report, the total acreage of numerous Glass and Polyethylene greenhouses together is about 61,000 hectare! 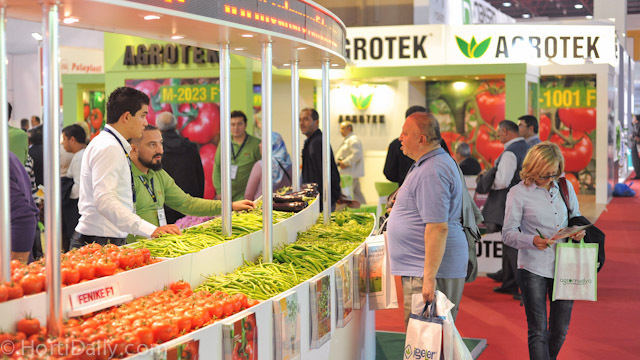 That makes Turkey one of the largest greenhouse horticulture producers in the world; Only China and Spain have larger greenhouse areas. 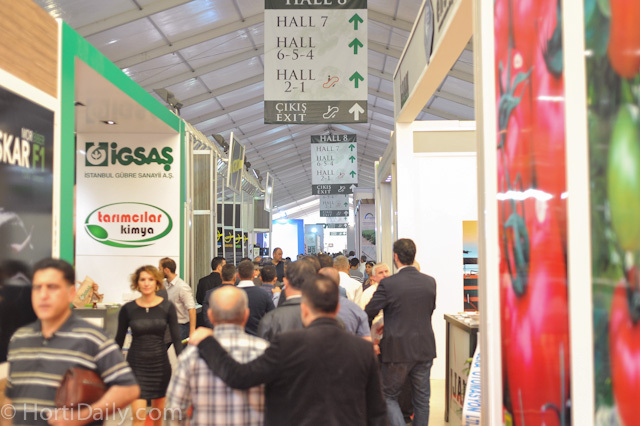 The entrance of the show. 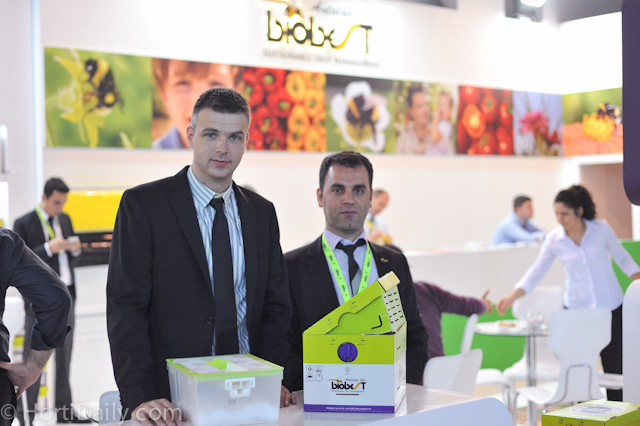 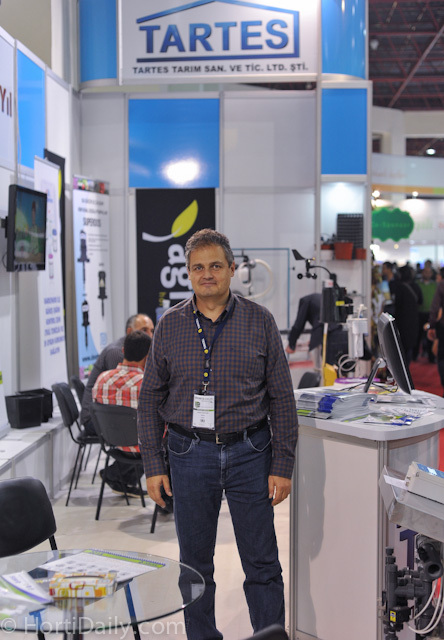 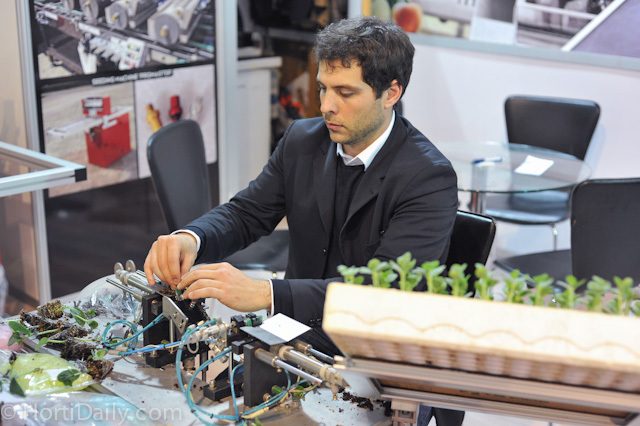 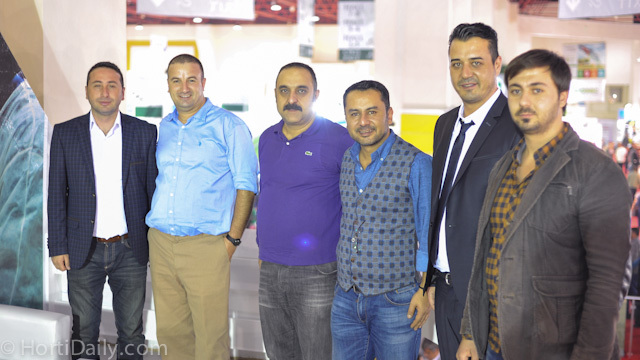 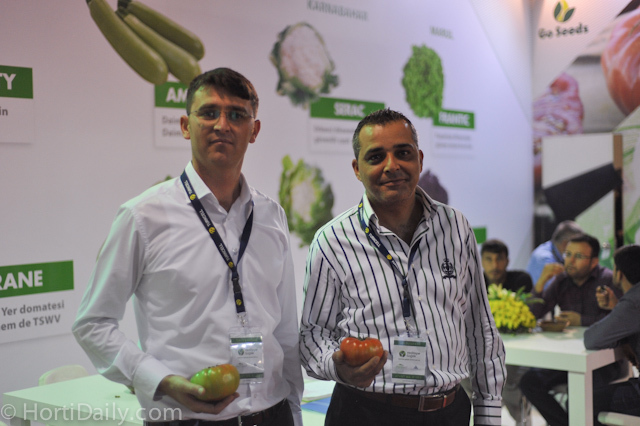 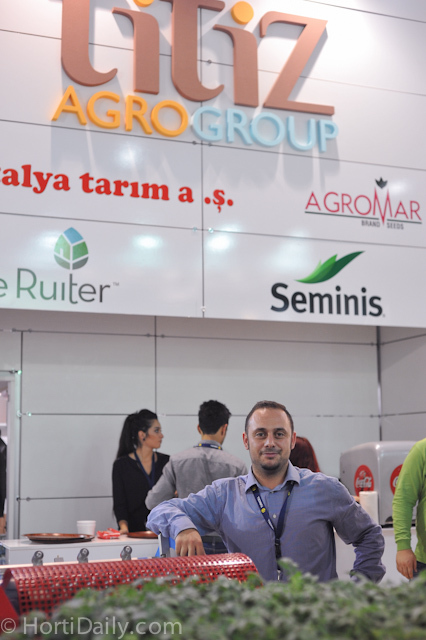 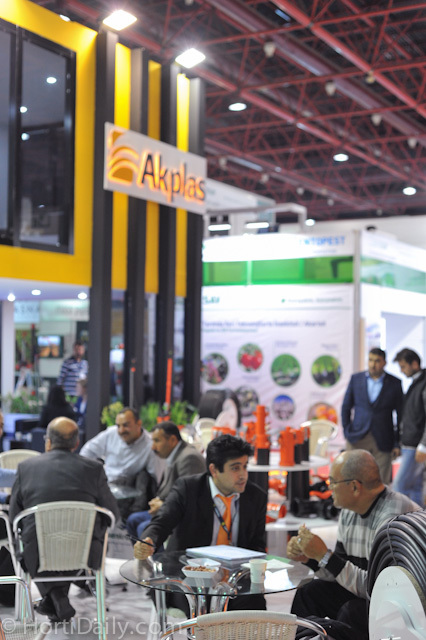 At the show we had a chance to sit down with Haluk Atamal; the representative for Ridder & HortiMax in Turkey. 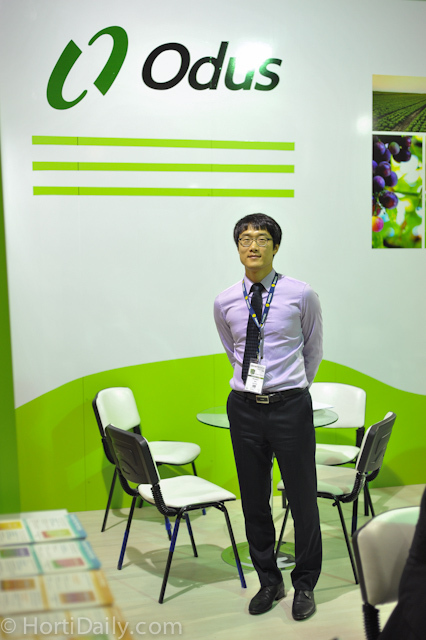 An interview with him will follow later. 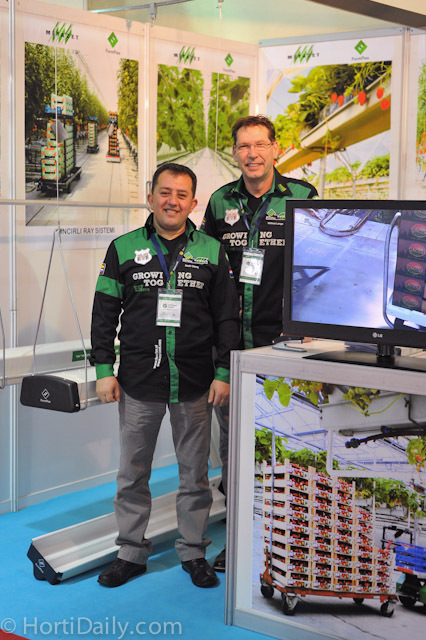 From left to right : Andrei Chabaline and Arjen Janmaat of HortiMax, Haluk Atamal and Regnier ten Haaf from Ridder Drive Systems. 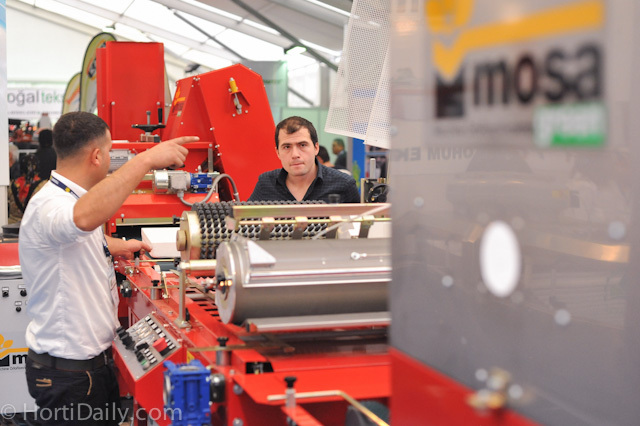 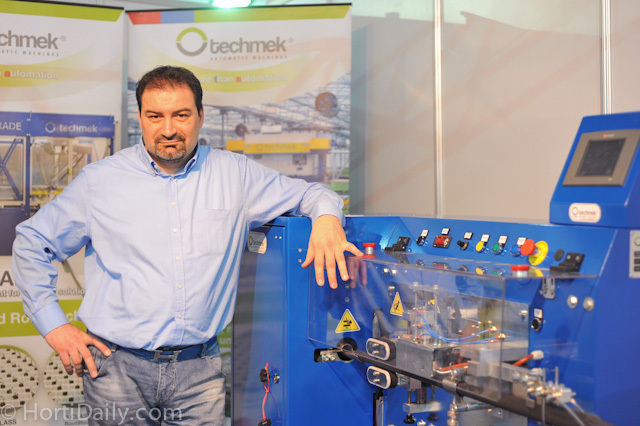 Aldo Maggion of Techmek with the PaperPot machine. 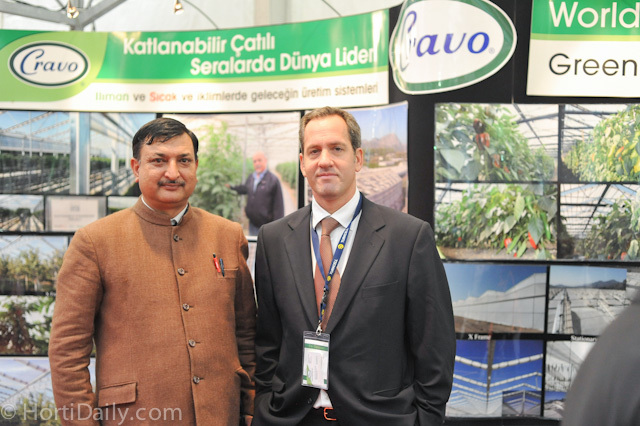 Cravo has a large team with International representatives; Rajender Kumar is responsible for India and Sergio Fuster is dealing with customers in the Mediterranean countries, Africa and Middle East. 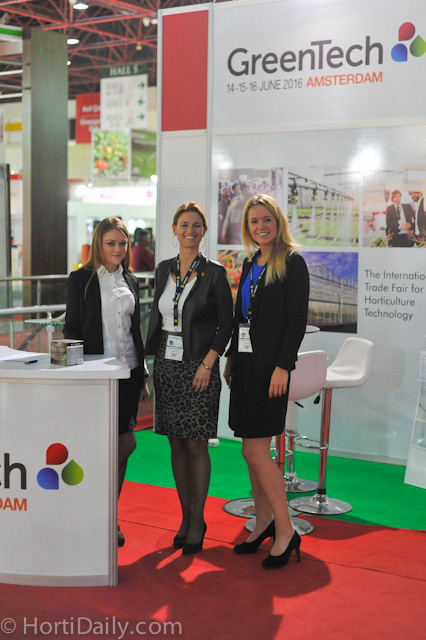 Also the GreenTech Amsterdam was present to inform exhibitors and visitors about their event ; from l-r : Ulyana Tarasyuk, Mariska Dreschler and Jeanette den Boer. 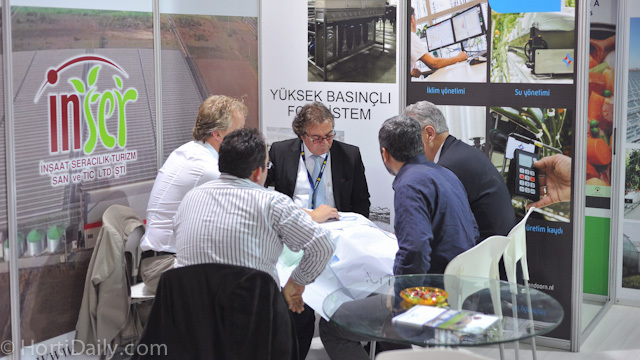 Inverted gutter system with closed canals at NC Tarim; the Turkish distributor of brands like Pelemix. 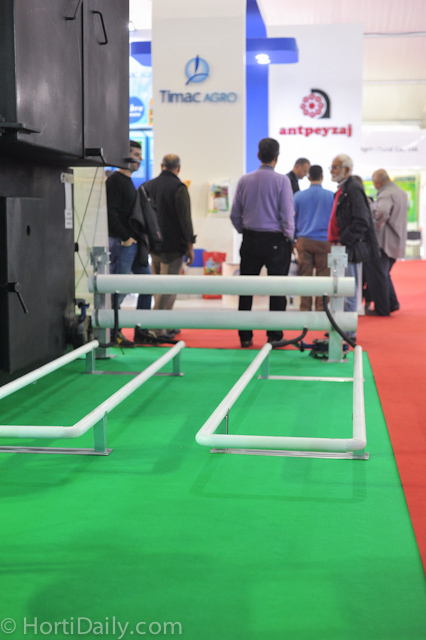 Pipe heating system from Turkish installation company. 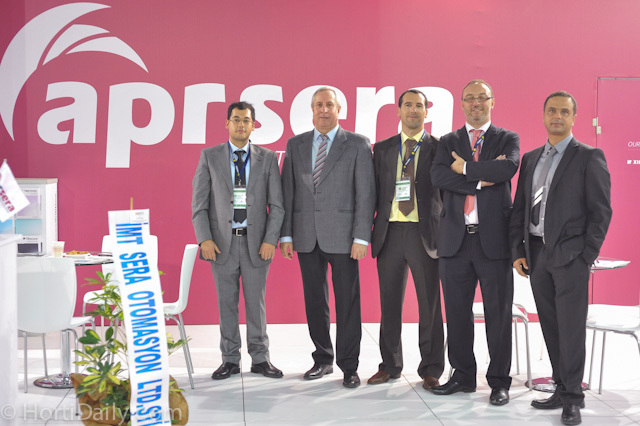 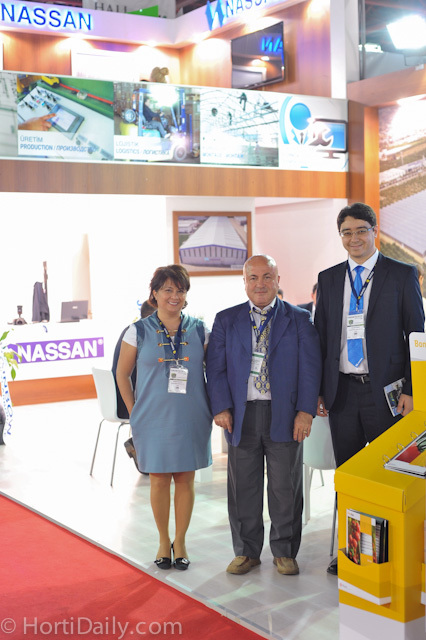 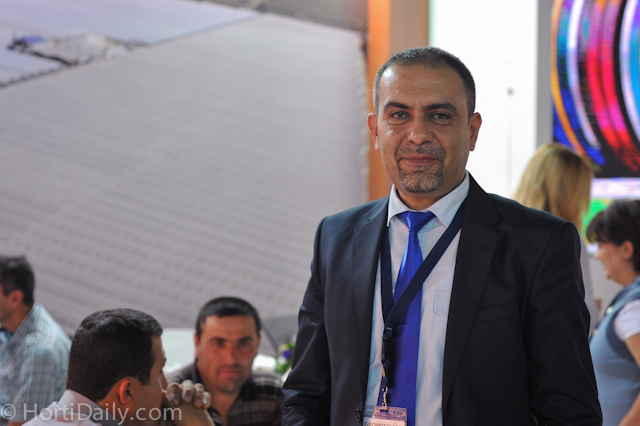 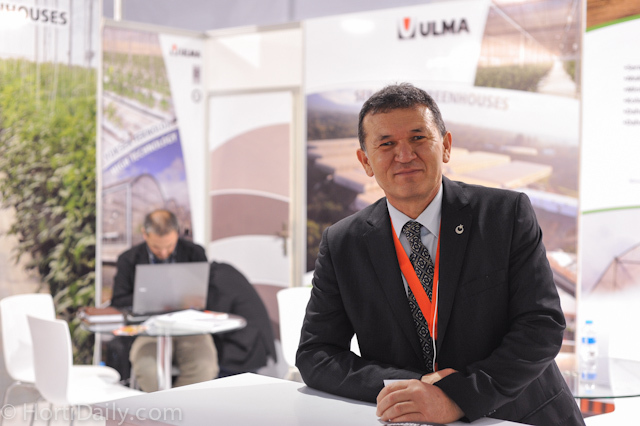 Mustafa Gumus is the representative of Ulma plastic greenhouses in Turkey. 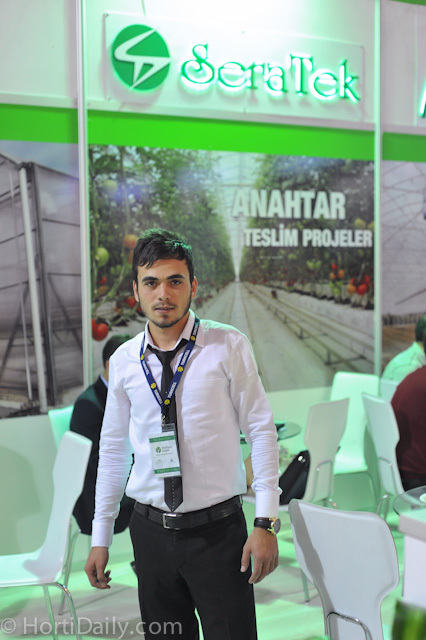 As well as this he works for BOM with Venlo greenhouses in Turkey. 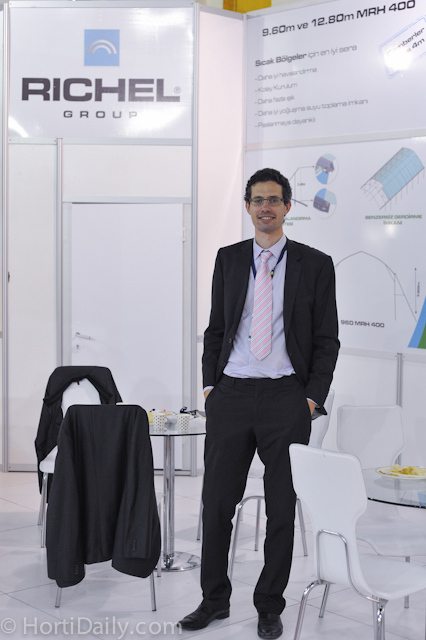 He was involved in some very nice projects in 2013-2014. 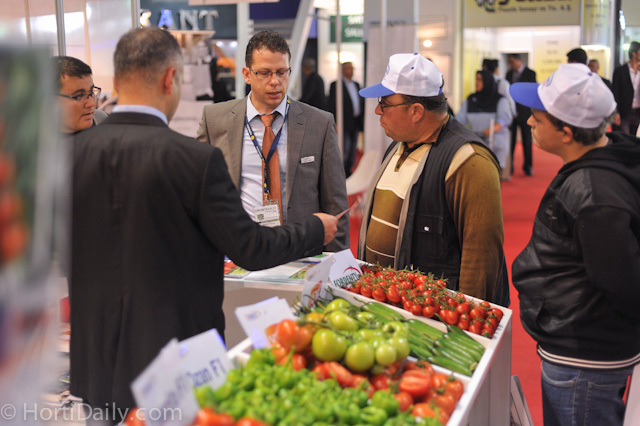 Bulent Ogel of Normist in conversation with some customers. 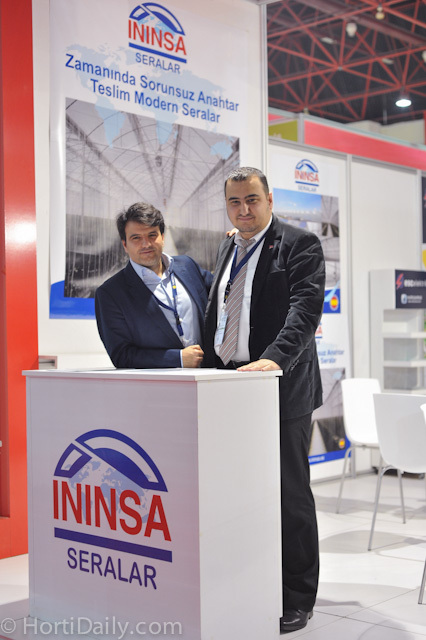 Turkish greenhouse developmetn consultant Dr. Alper Besiroglu (middle) visiting Mustafa Sert of Benimplast. 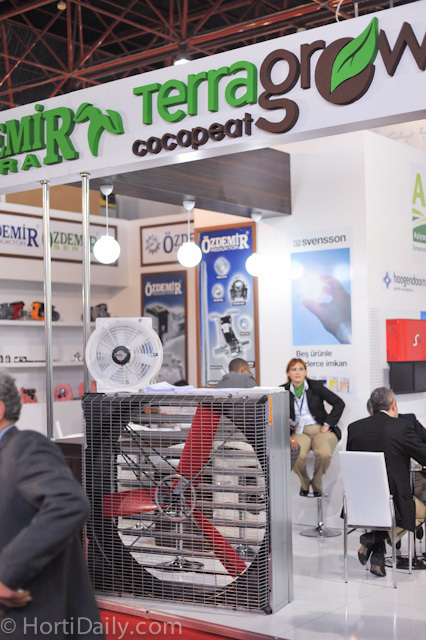 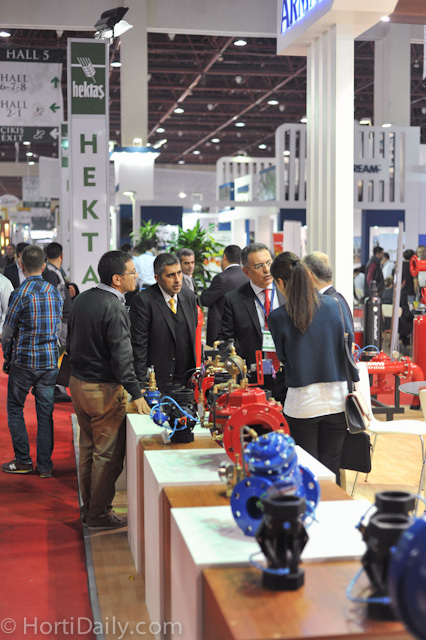 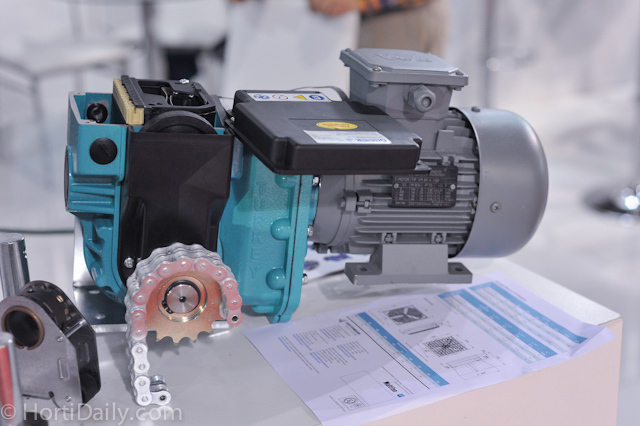 There are quite a few Turkish growers who buy pure CO2, hence Linde was also present at the show. 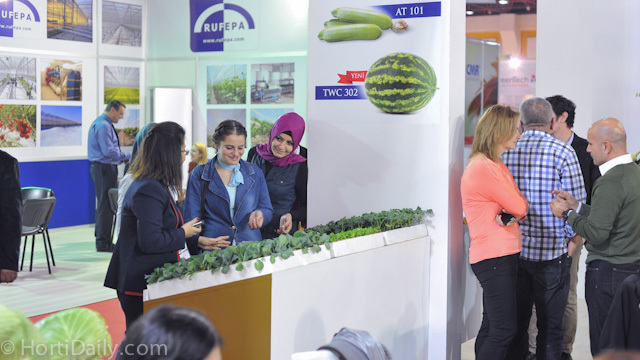 From left to right; Busra, Omer,Bahar and Senem. 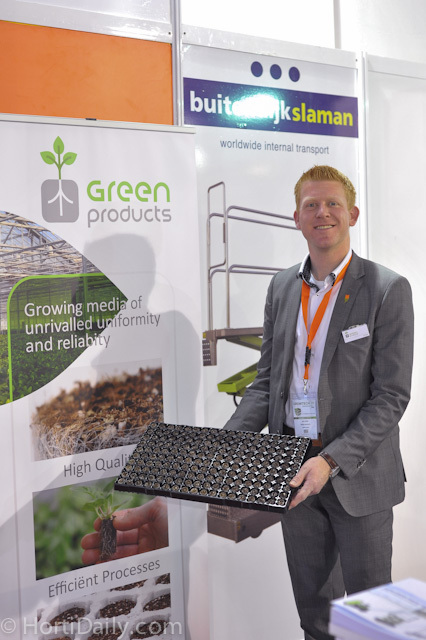 Julien Jedrusiak of Richel Greenhouses. 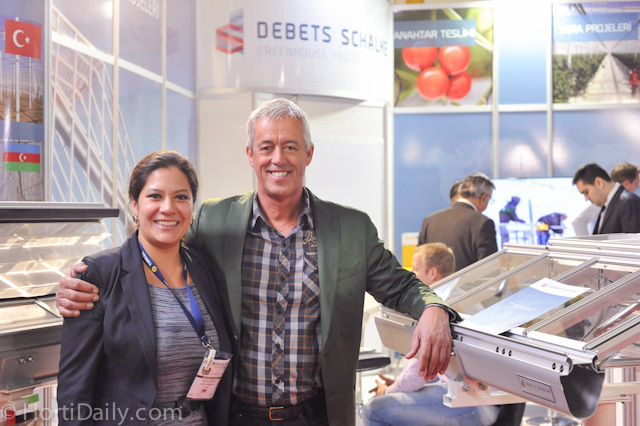 Coen van der Kruk of Debets Schalke together with show-visitor Brenda van Diejen of Legro. 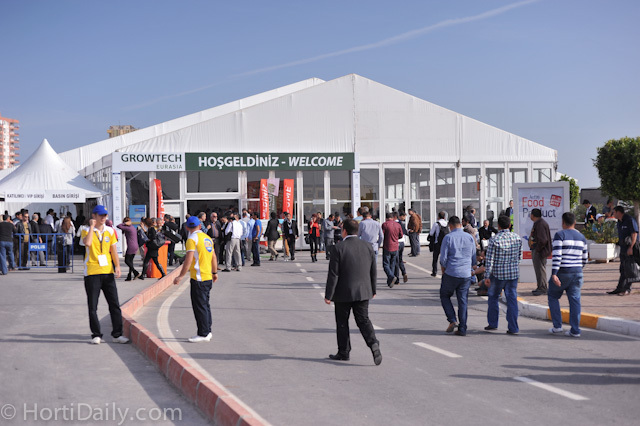 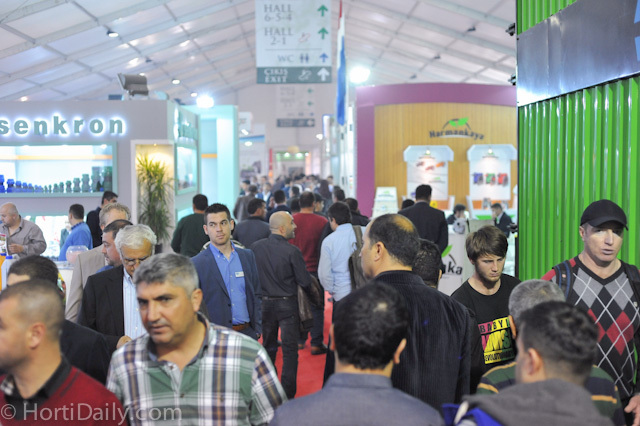 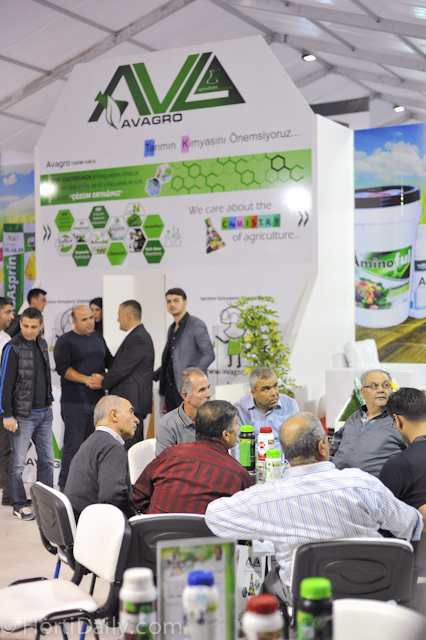 Many growers come to the Growtech Antalya to learn more about the recent developments from their breeders. 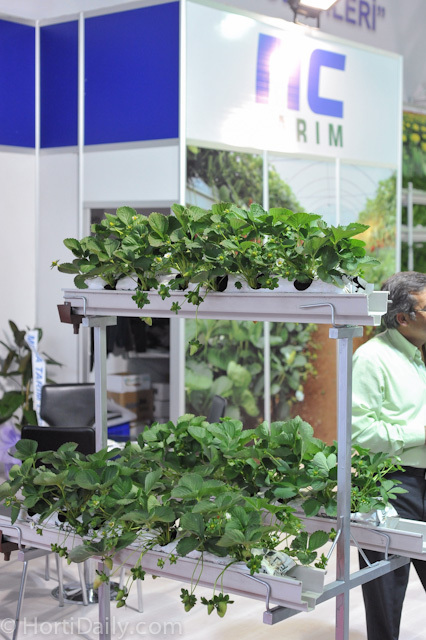 Also seeding technology becomes important; a Mosa Green line attracted many interested visitors. 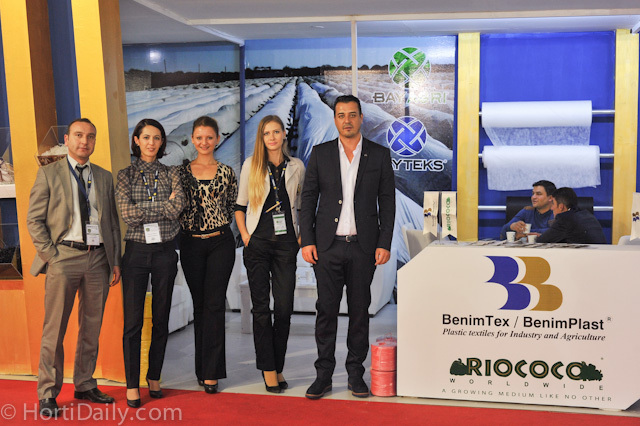 The hostesses at the Benimplast / Riococo booth. 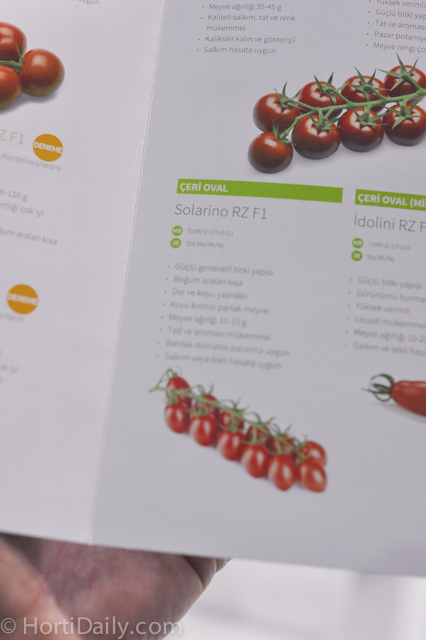 Solarino is one of Rijk Zwaan's premium oval cherry tomatoes for the Turkish market. 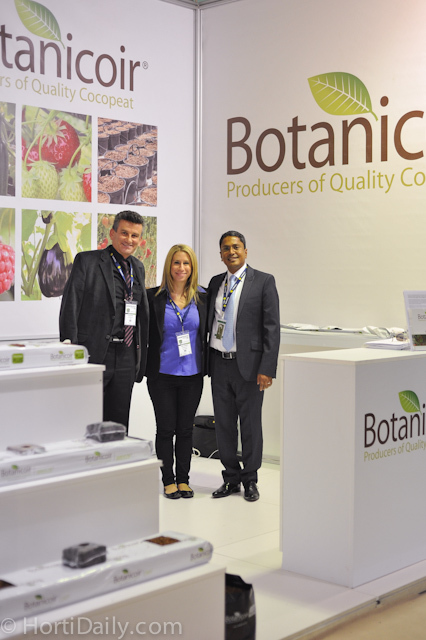 Onder Ozansoy, Danielle Wimborne and Kalum Balasuriya from Botanicoir. 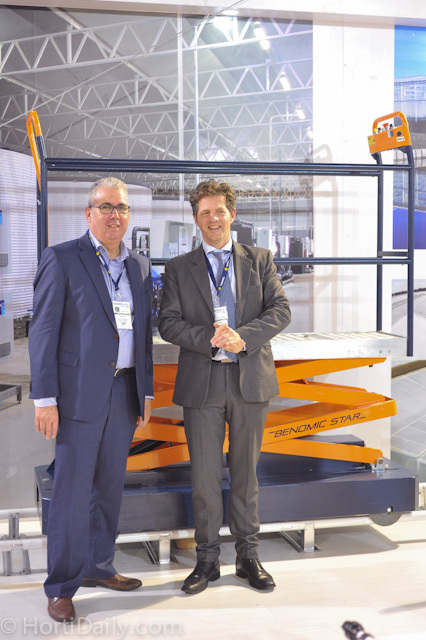 Tom Zwanenburg of Van der Waay was very proud to have the new poly greenhouse roof cleaner on display on top of the booth of Royal Brinkman. 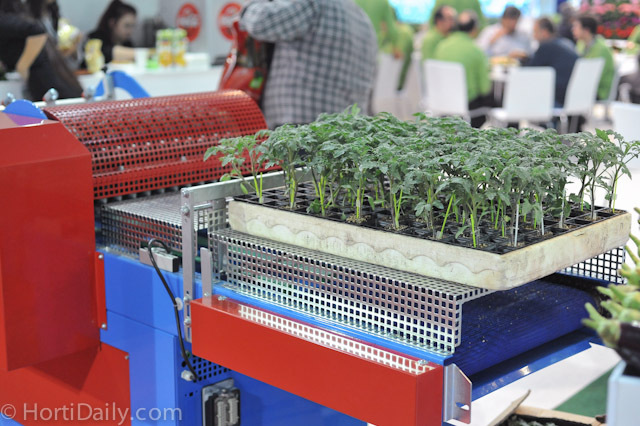 The new poly greenhouse roof cleaner on display on top of the booth of Royal Brinkman. 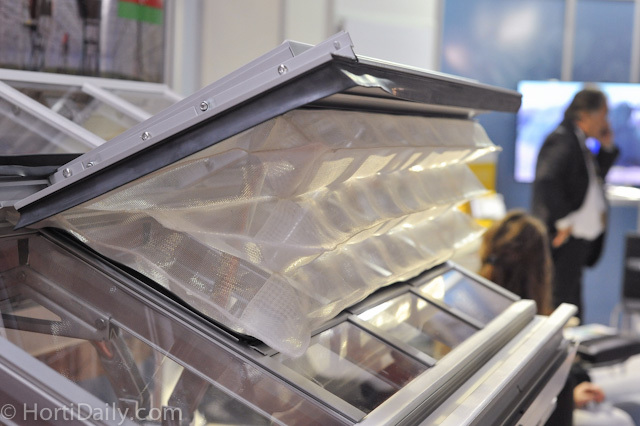 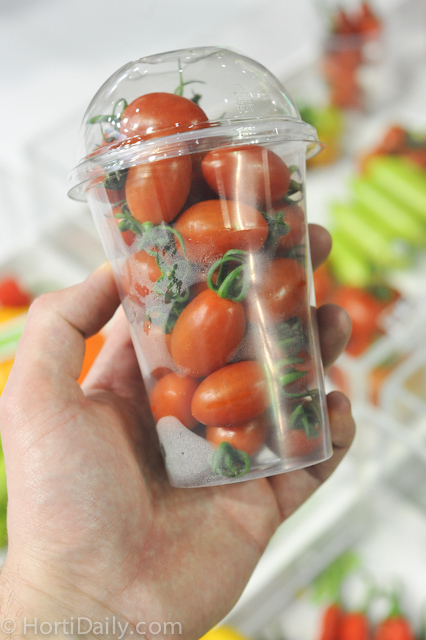 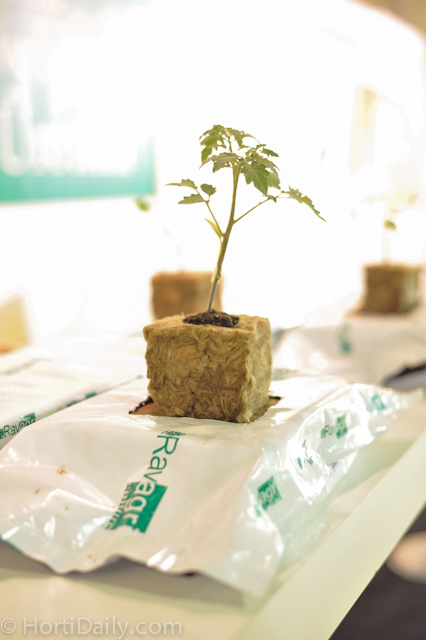 One of the few shaker packagings on display at the GrowTech. 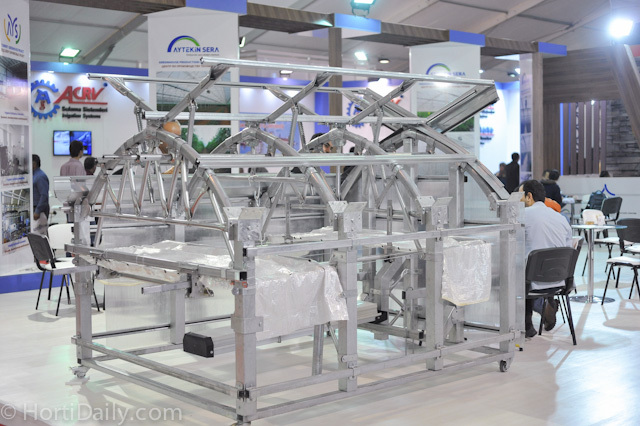 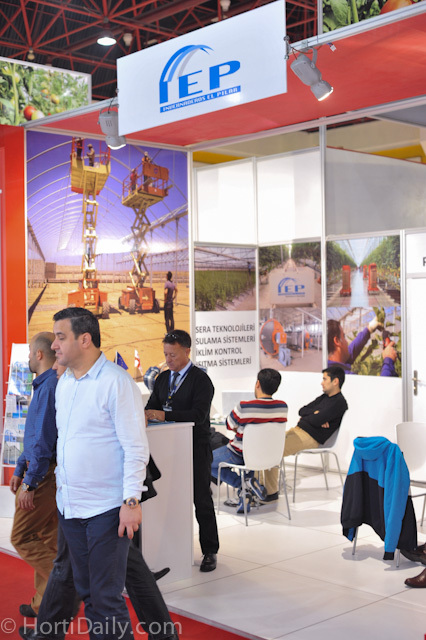 All the possibilities that greenhouse constructor Aytekin Sera has to offer. 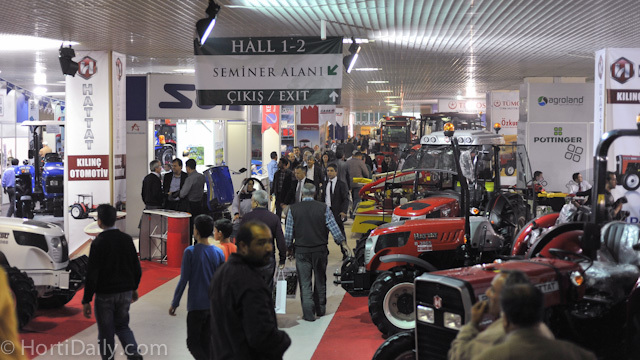 Halls 1 and 2 were dedicated to agricultural machines and new exhibitors. 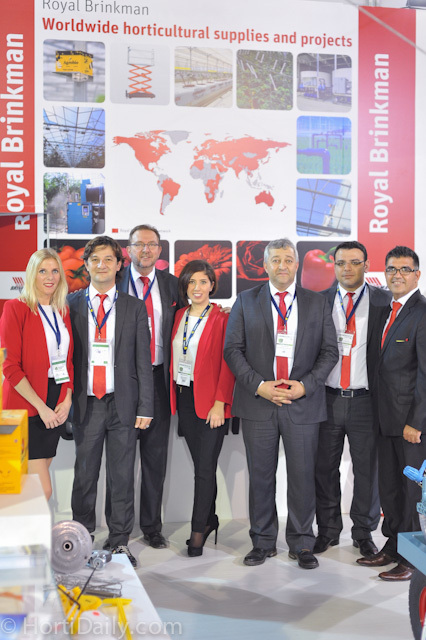 The entire team of Royal Brinkman Turkey. 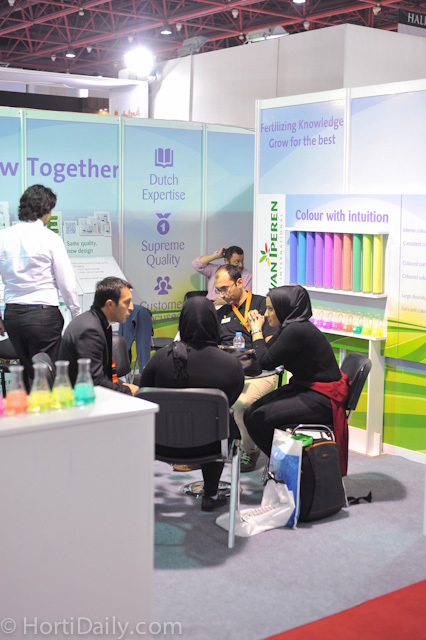 Busy project discussions at the booth of Inser. 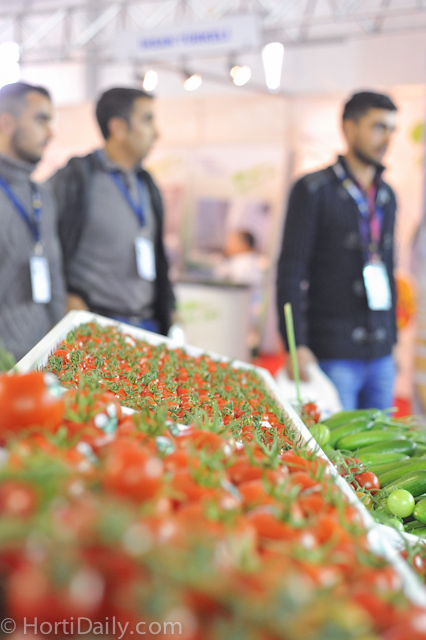 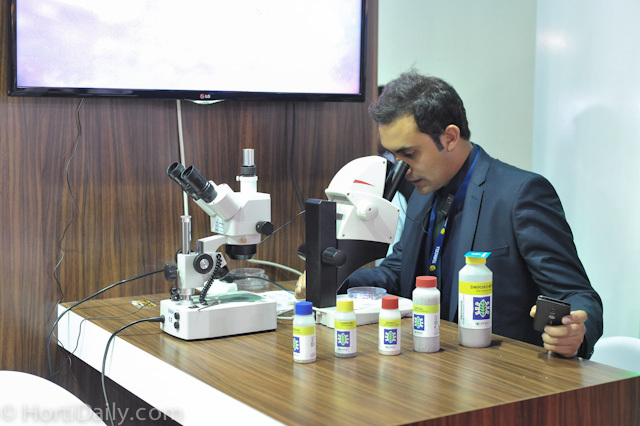 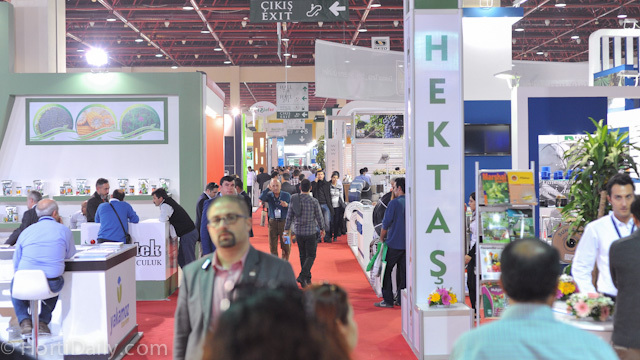 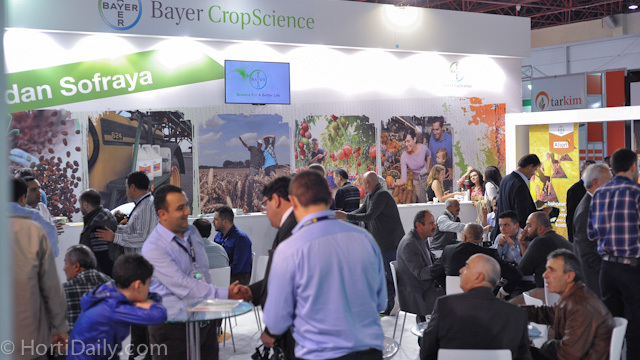 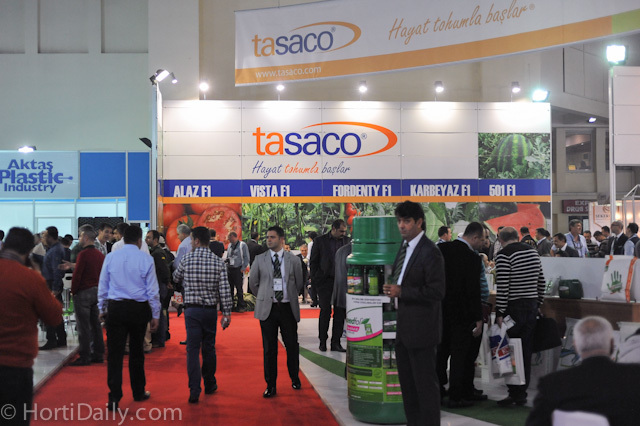 The show housed many Turkish Seed Breeders and distributors. 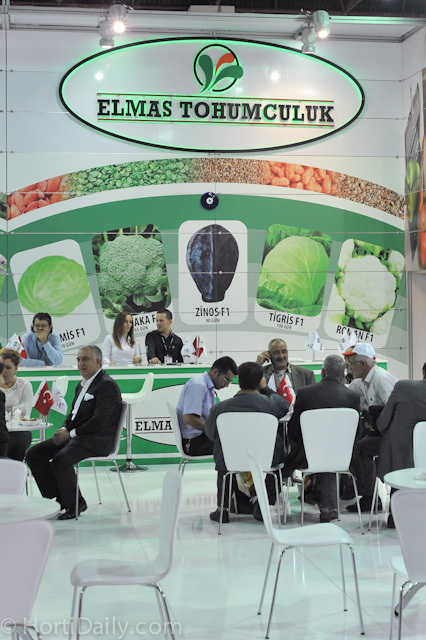 ; Elmas was one of them. 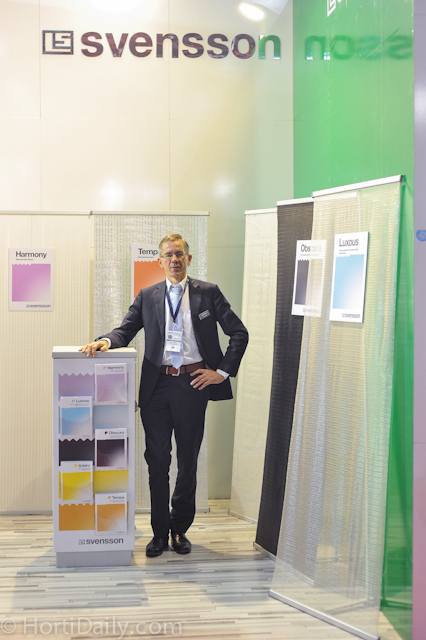 HollandGaas insect netting on display at the booth of Debets Schalke. 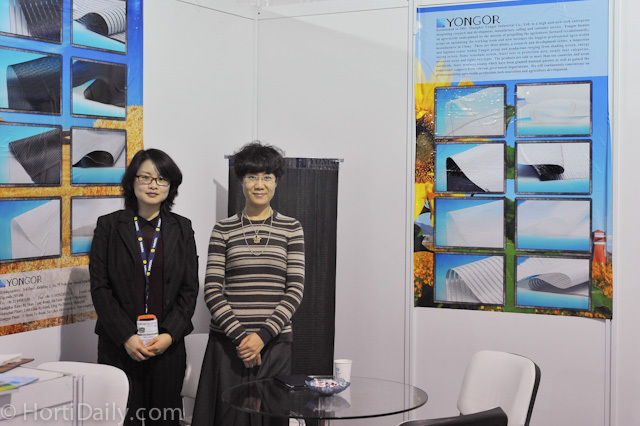 Emily and Zoe Zhang of Yongor screens. 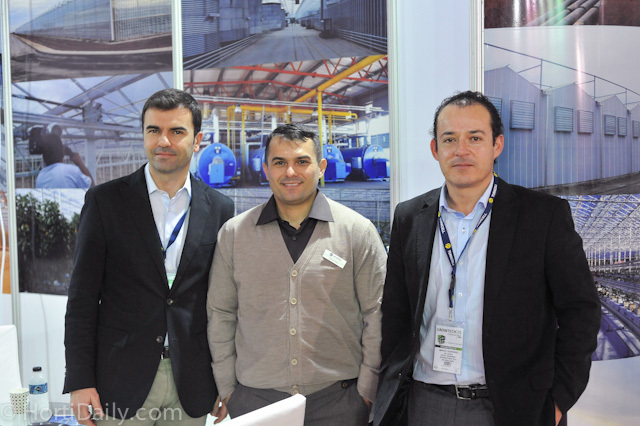 Gustavo Alvarez Perzez of Asthor, Ergin Burak of VB and Manuel Guerrero of Asthor. 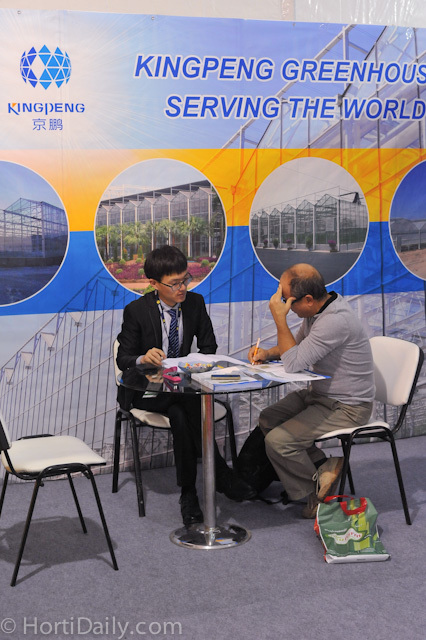 Also Chinese greenhouse builder Beijing KingPeng wss present. 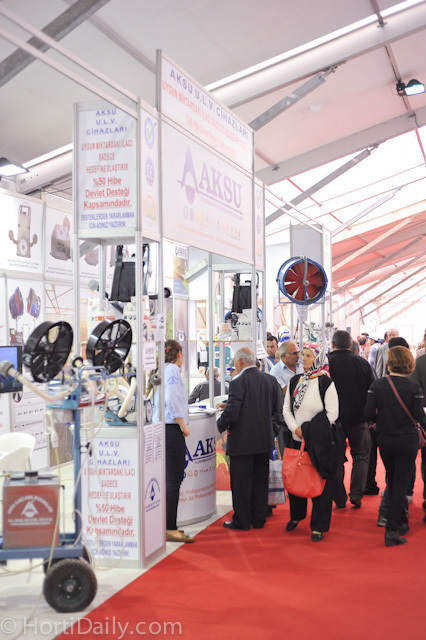 Many Asian exhibitors were present. 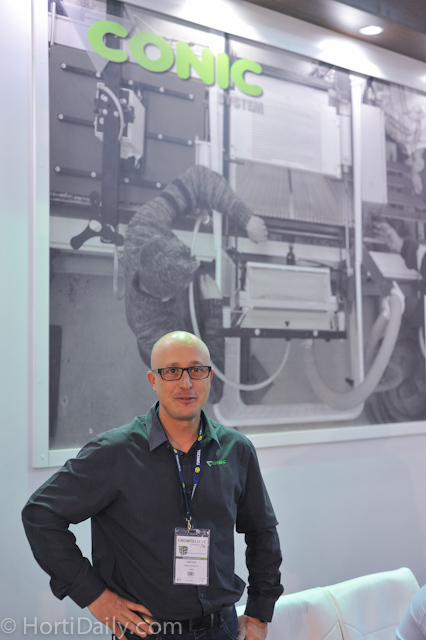 According to his translator Marinella, Barry Zuidgeest of Mardenkro is finally becoming a bit photogenic. 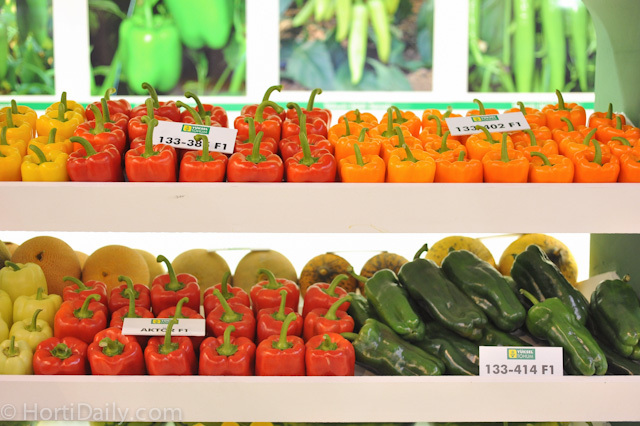 Every dish in Turkey comes with a green pepper. 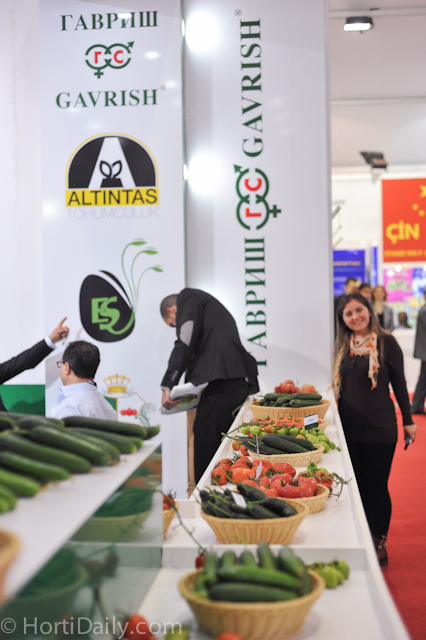 Lotus is one of the most important varieties of East West Seed. 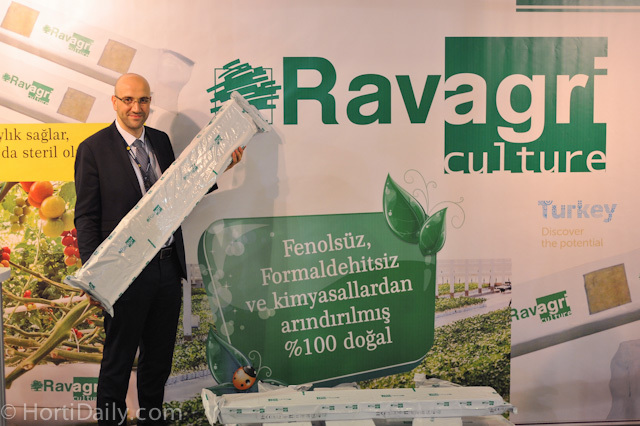 Ravagri is a new player in the field of stonewool substrates. 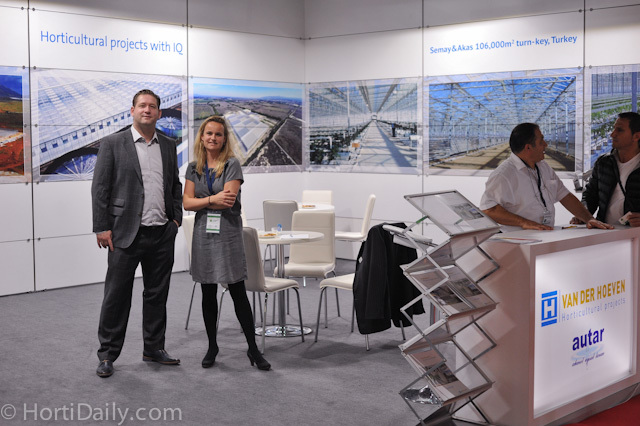 They started one year ago with the development of the slabs. 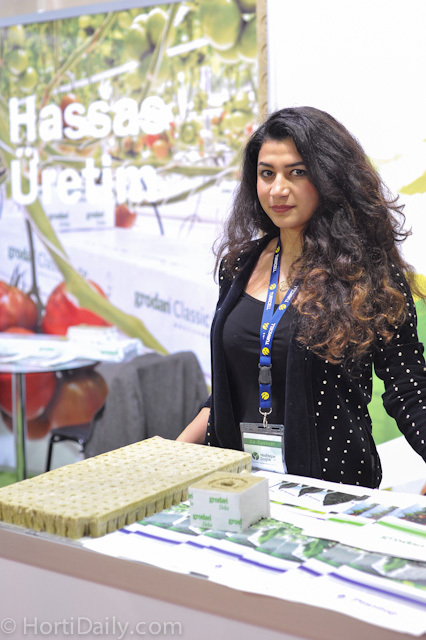 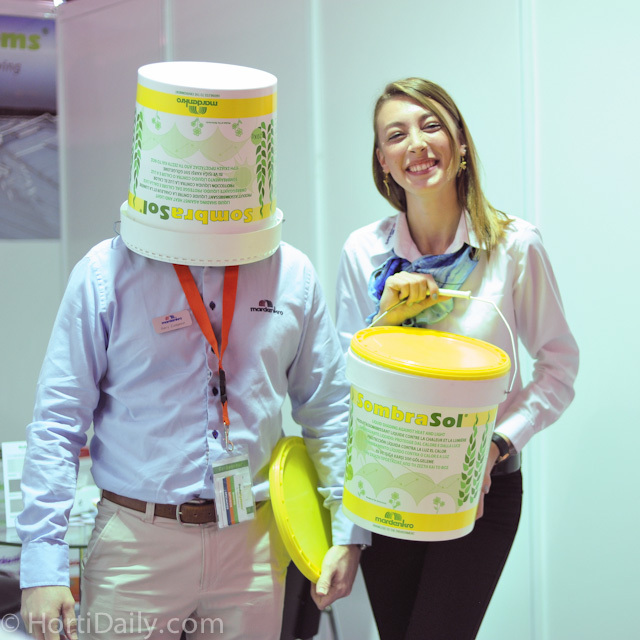 Hostess at the booth of Grodan Turkey. 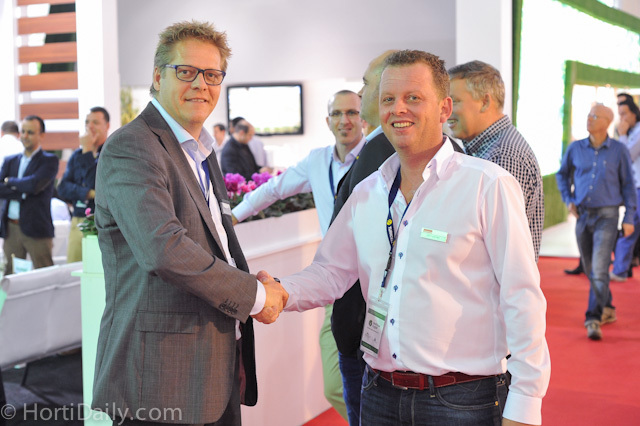 Sjaak Bakker of Flier Systems and Chris van der Wel of Van der Knaap - Antalya Substrat announced a strategic partnership. 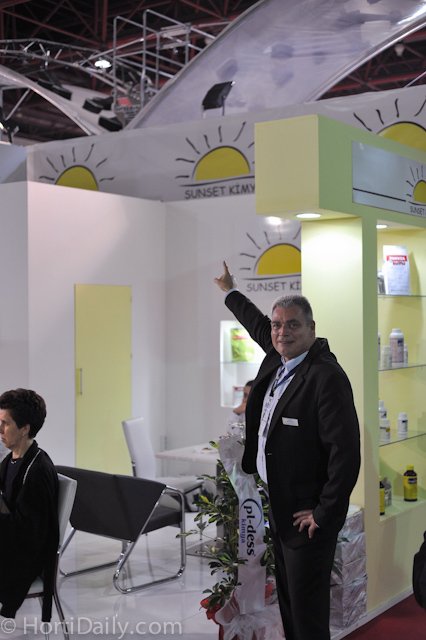 Antalya substrat is the new agent for Flier in Turkey; they will have direct contact with the end users. 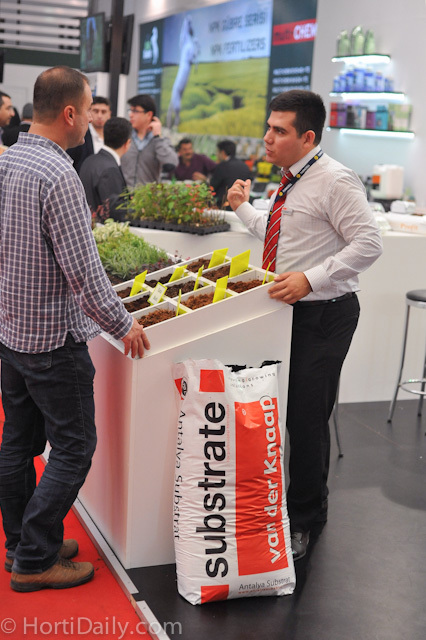 Thanks to the extensive customer relations of Antalya Substrate with many young plant growers, Flier will be able to help their existing and new customers with better services. 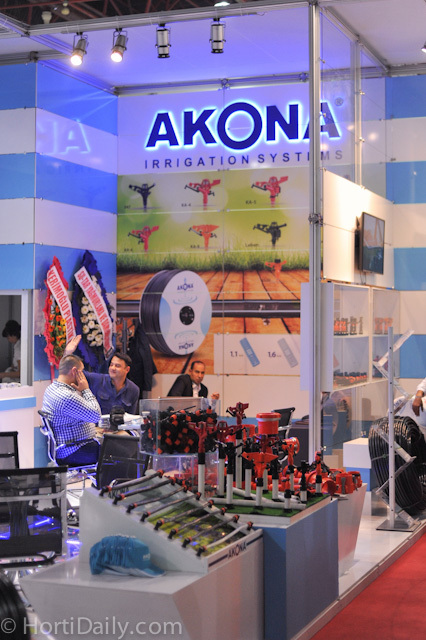 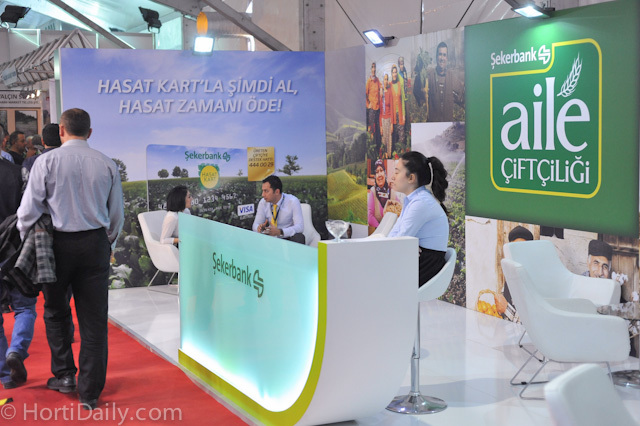 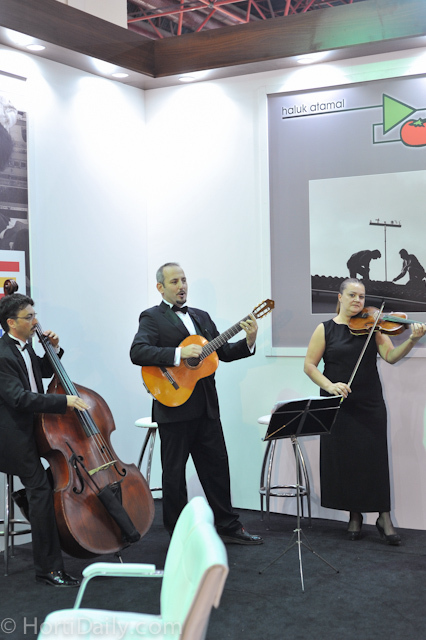 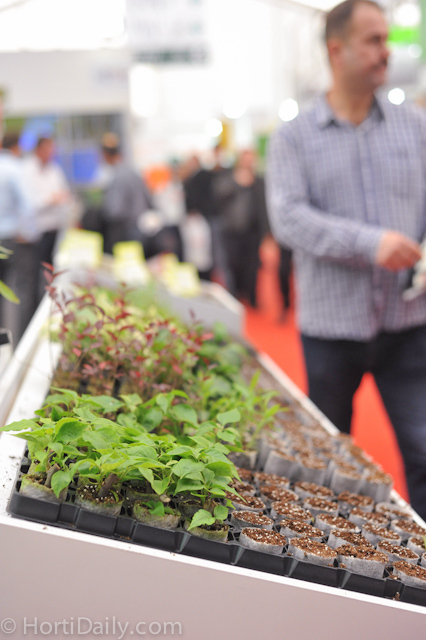 Besides many seed breeders and suppliers of technology, also many financial service suppliers were present on the show. 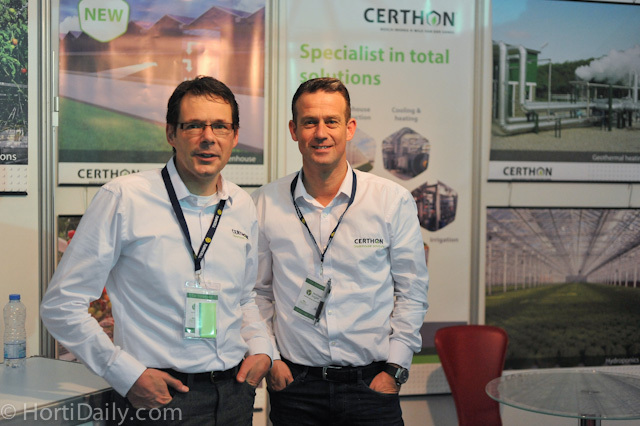 Certhon's Mark Vijverberg and John Meijer. 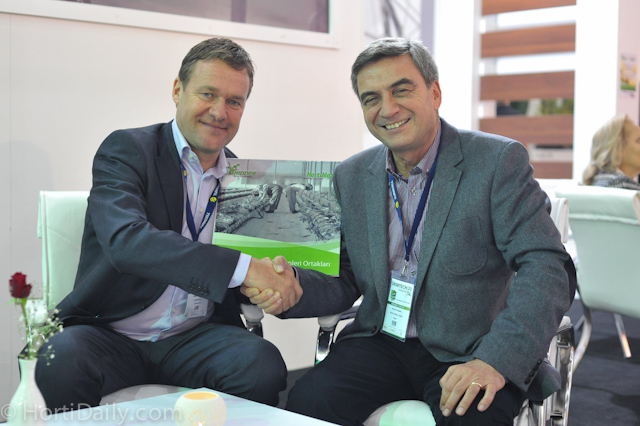 Egbert Bruins and Floris Berghout of KG Systems. 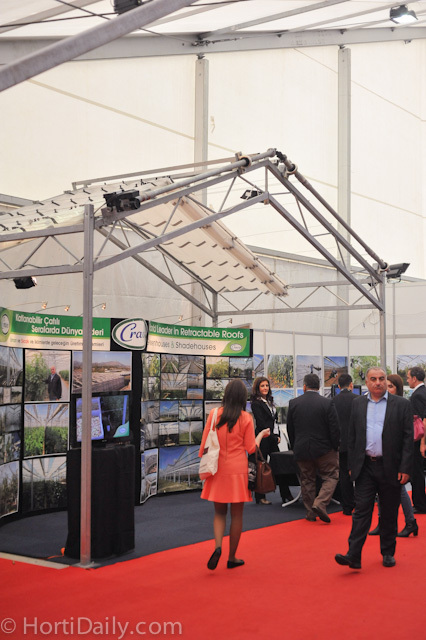 Cravo's retractable roof system has proven to be very efficient in Turkey and neighboring countries. 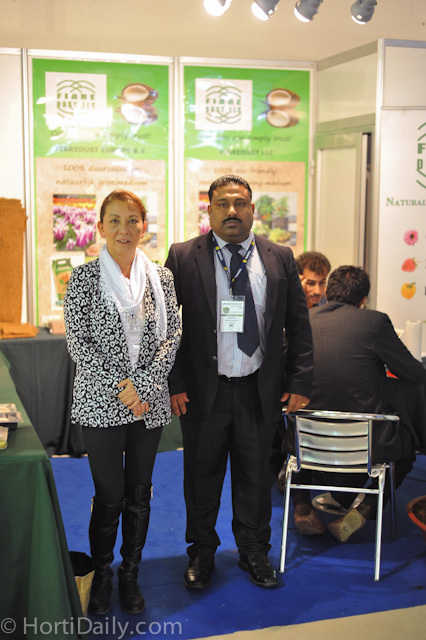 Yosun Cengiz and Asli Ozalp of Cravo Turkey. 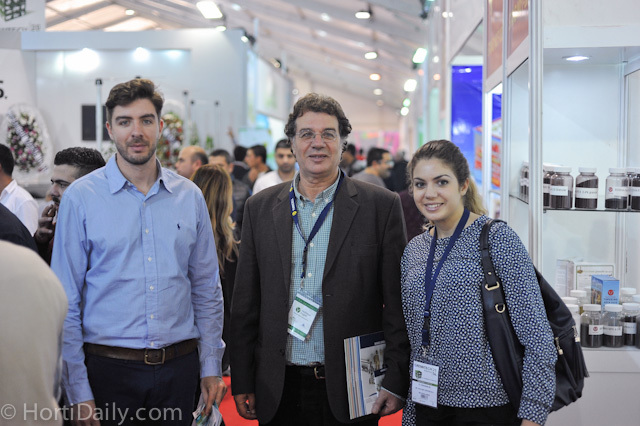 Cravo's Richard Vollebregt (on the right) in conversation with customers. 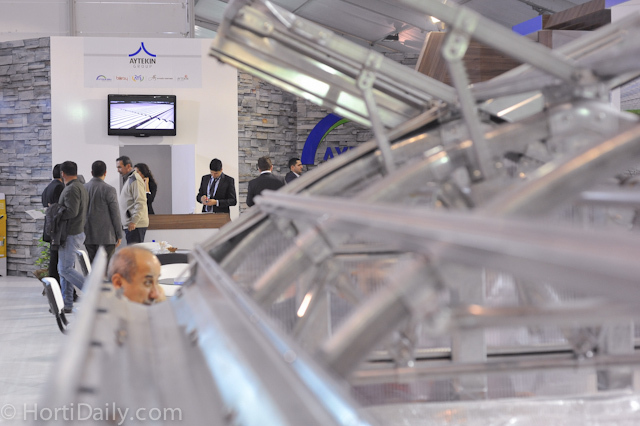 Ahmet Uysal of AUTAR is the Turkish partner of Van der Hoeven. 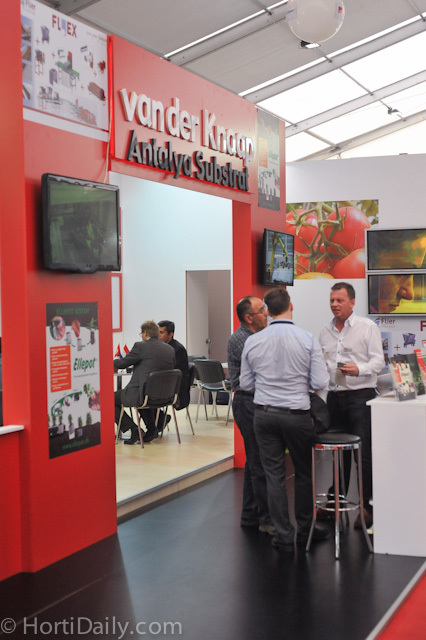 Chris van der Wel of Antalya Substrat - Van der Knaap. 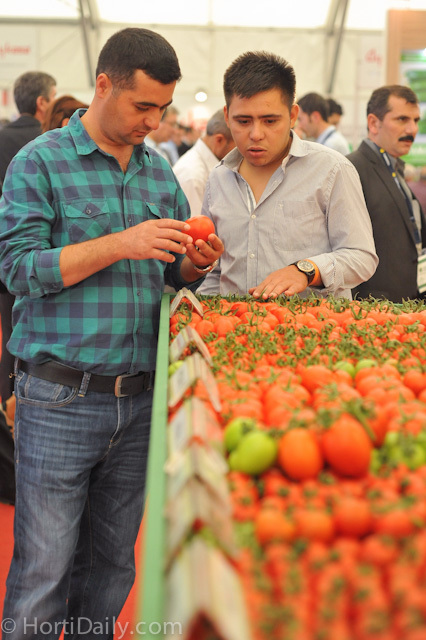 Grafting is also a hot topic in Turkey. 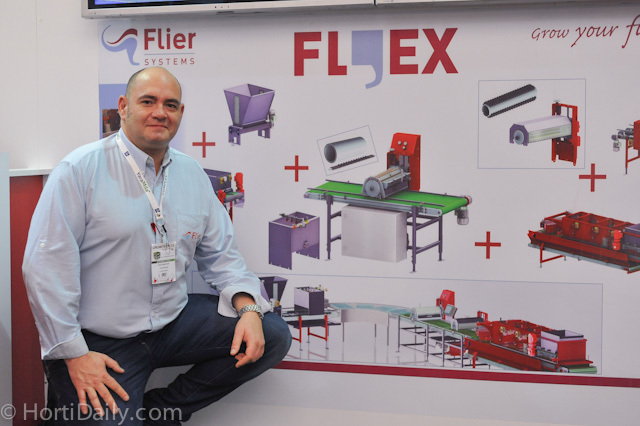 José Carretero Perez of Flier Systems; their modular Flex system is also very suitable on the Eurasian market. 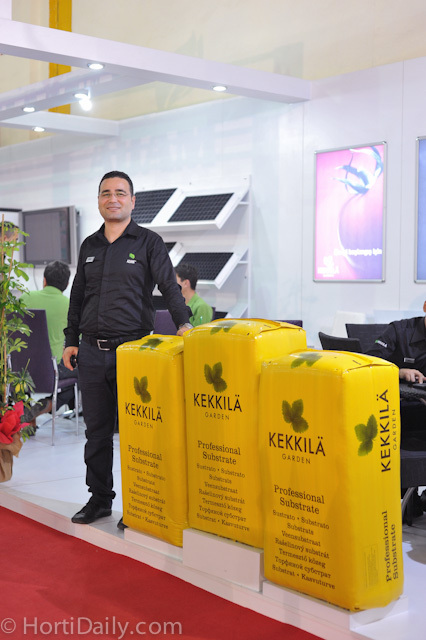 Emre Guzelyurek of ADAM; the turkish distibutor for Kekkila. 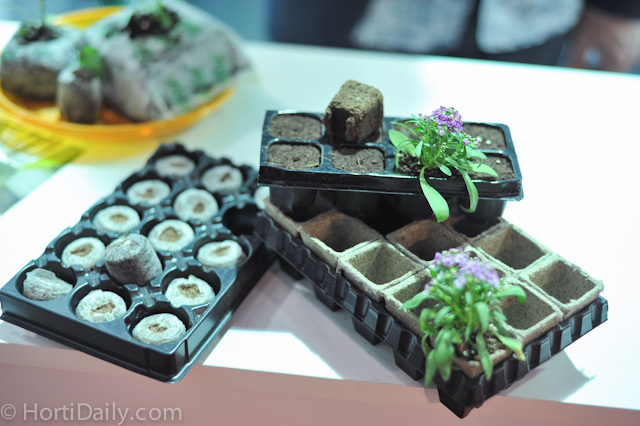 Antalya Substrat produce their own plant plugs in a factory in Antalya. 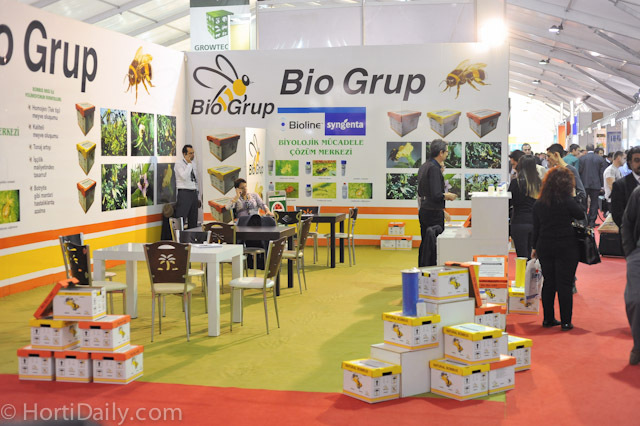 Bio Grup is the distributor for Syngenta's Bioline. 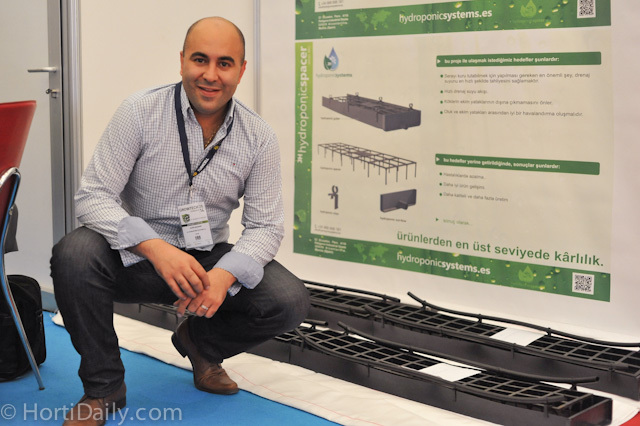 Vaghid Bagheri of J Huete Hydroponic Systems presented a new drainage system. 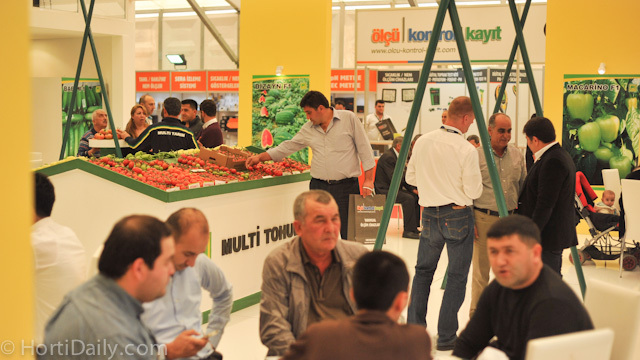 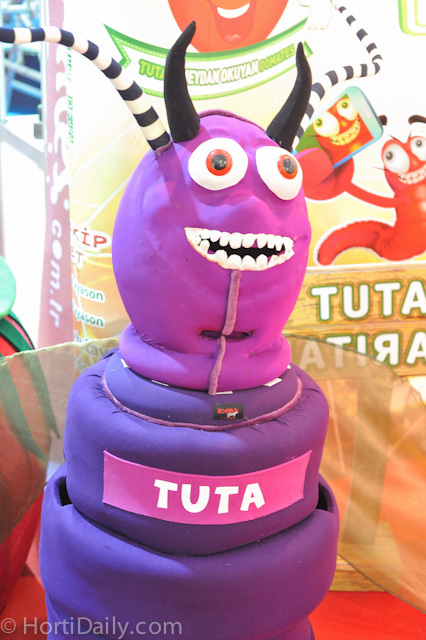 Tuta Absoluta is a major problem for the growers in Antalya. 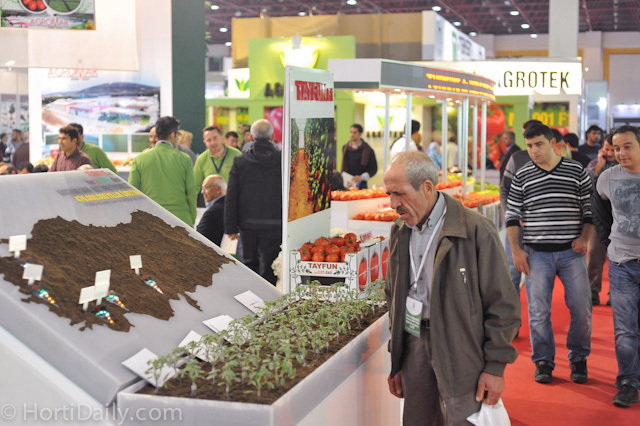 Yuksel Tohum has developed a very interesting selection of greenhouse varieties. 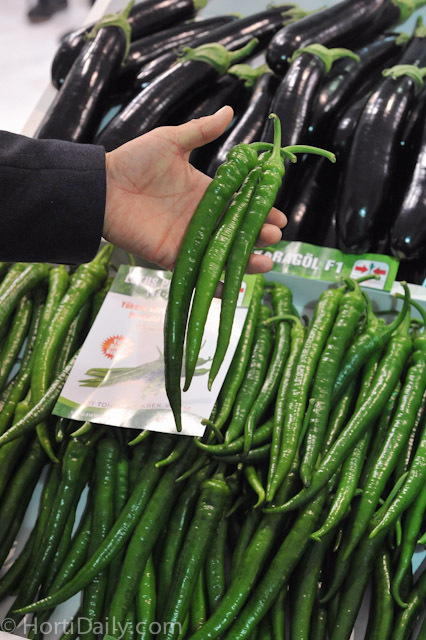 This Dutch cucumber is one of them. 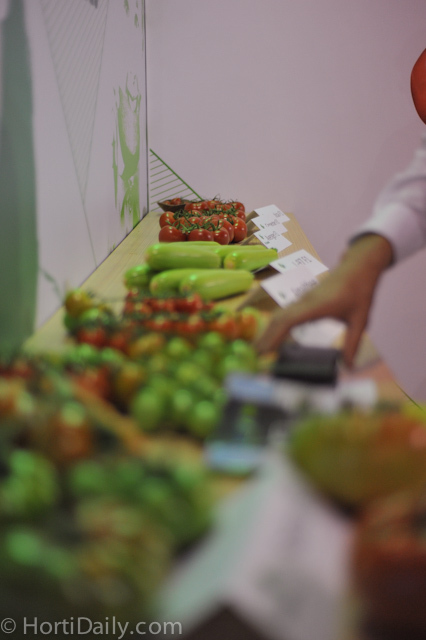 An article on their latest varieties will follow later. 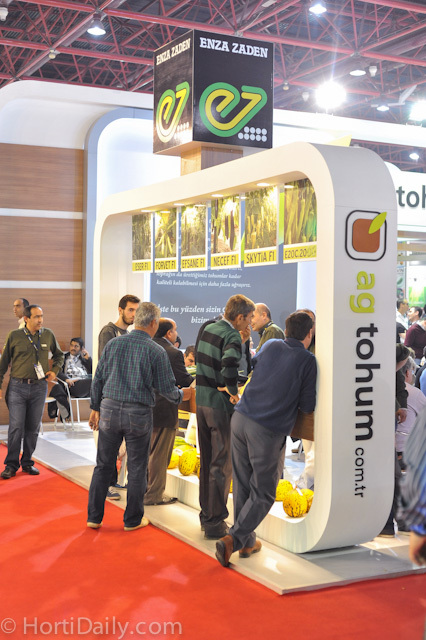 A selection of some varieties of Yuksel Tohum that are targeted for the North American and Western European production areas. 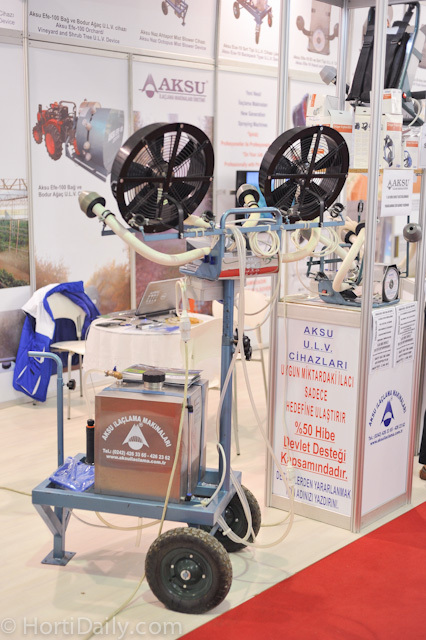 Urbinati's drum seeder on display at the booth of Titiz Agro. 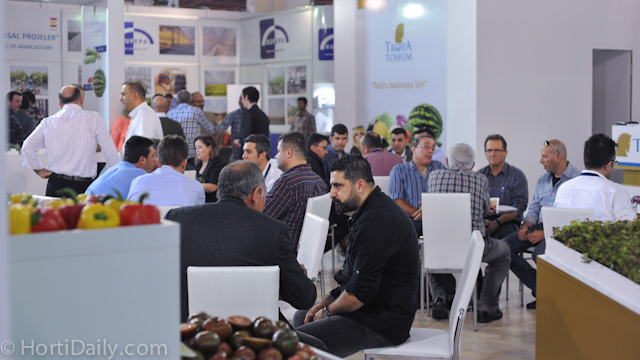 A lot of information on Rootstocks could be found at the booth of Titiz. 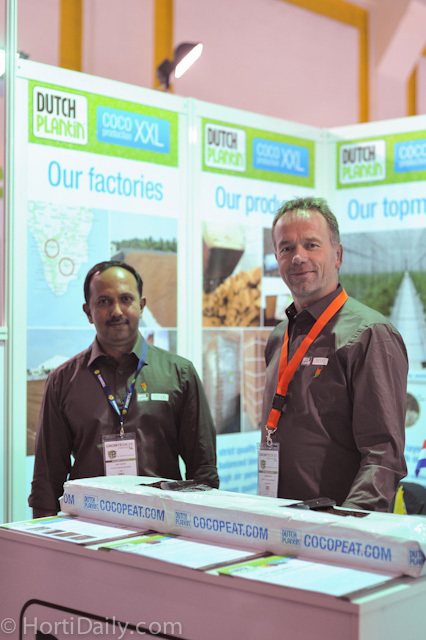 Siby Joseph and Wim Roosen of Dutch Plantin. 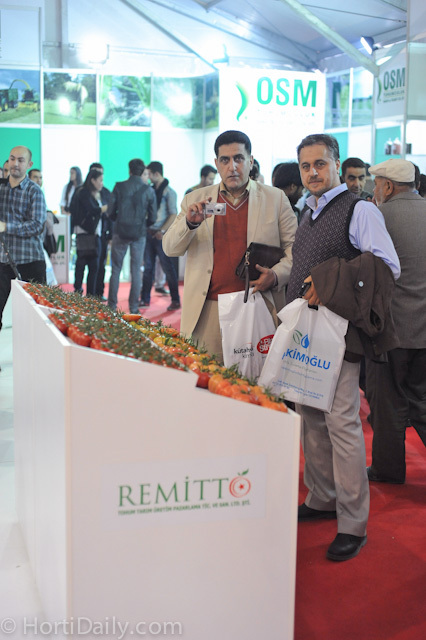 Titiz is a distributor of Seminis and De Ruiter in Eurasia. 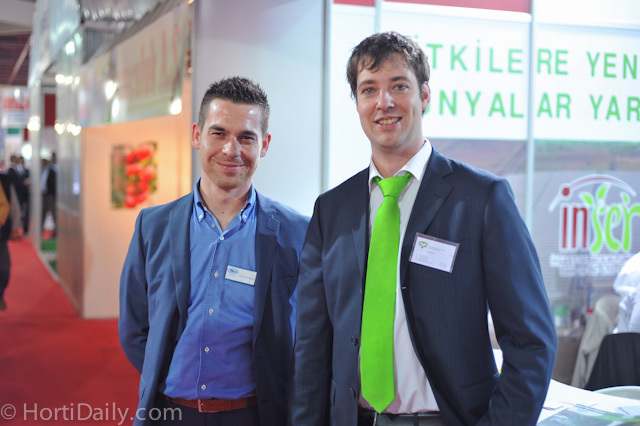 Arjen Janmaat and Haluk Atamal. 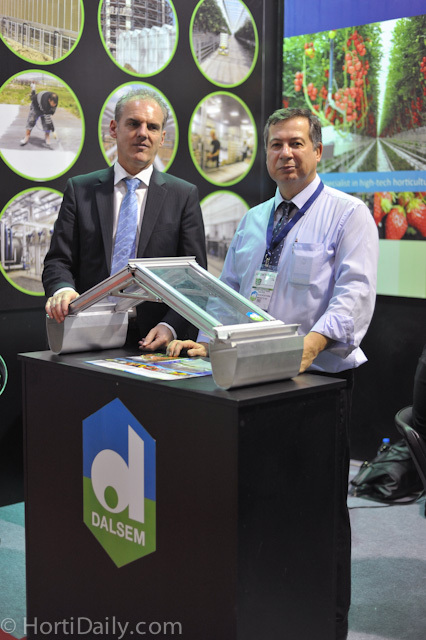 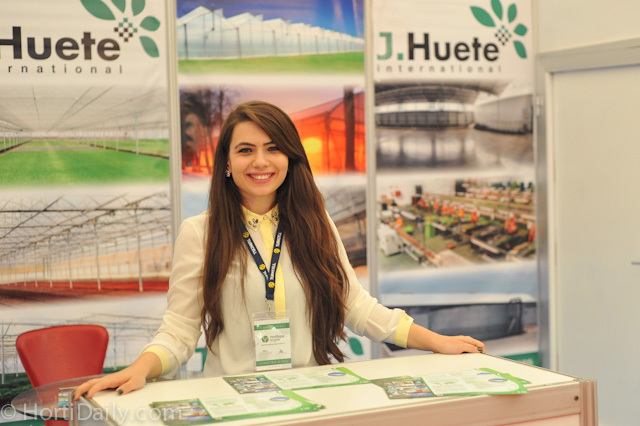 Haluk has made a very nice photo album about the Turkish greenhouse sector. 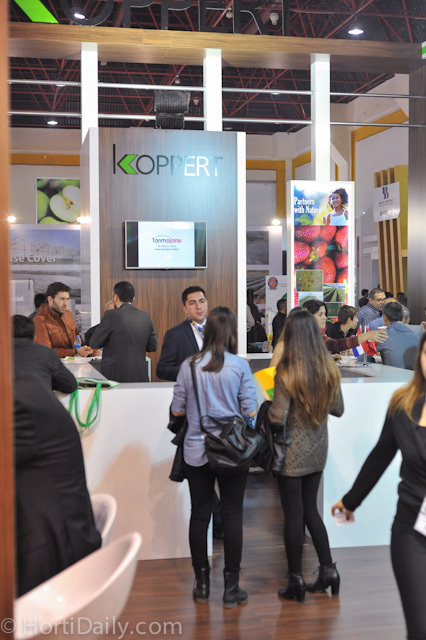 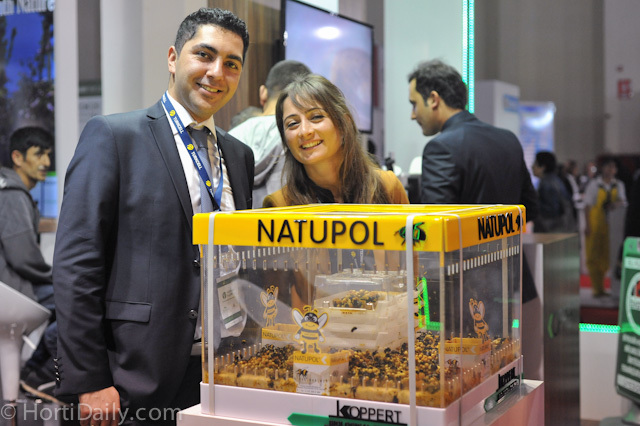 in Turkey, Koppert has a big presence with their beneficial insects. 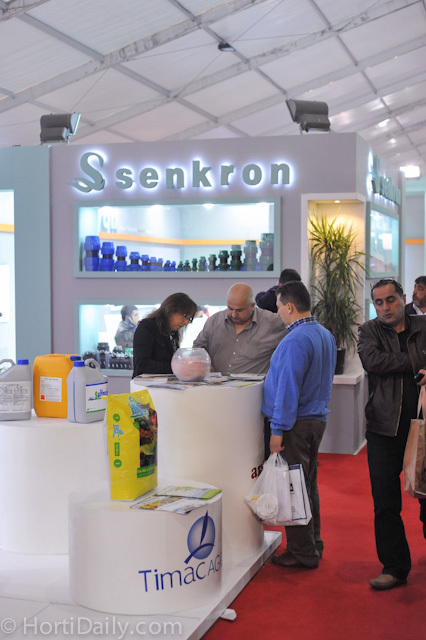 The booth of Koppert Biological Systems. 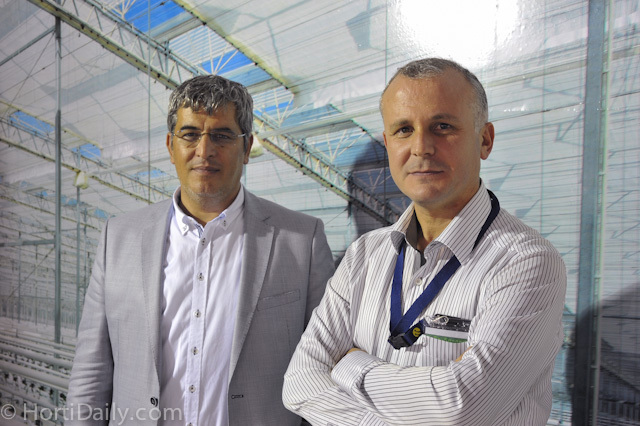 Yilmaz Ekmekci and Yagmur Ulu of Koppert Biological Systems. 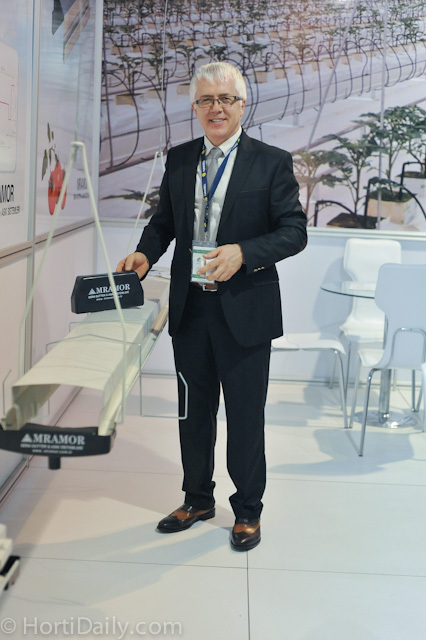 Mramor is a Turkish manufacturer of gutter canals. 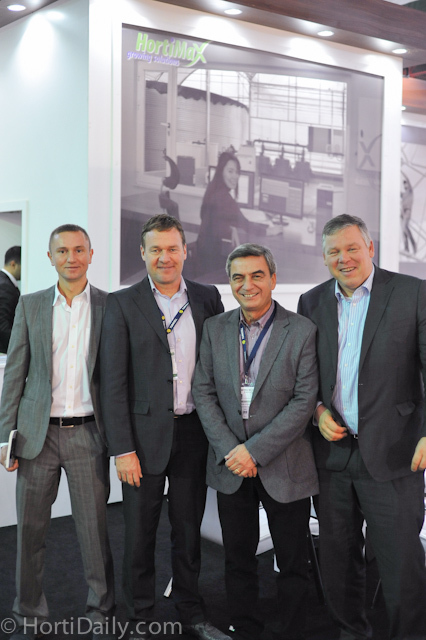 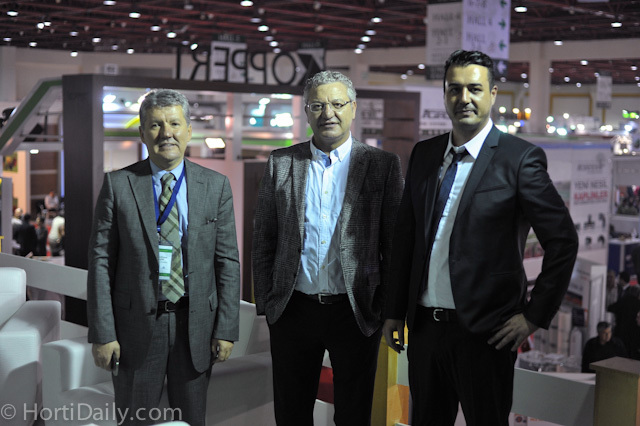 Michel Winkel, Ergin Burak and Aad Verbakel of VB Group. 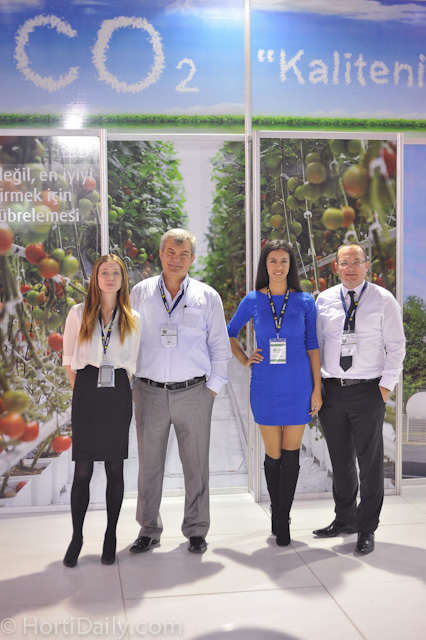 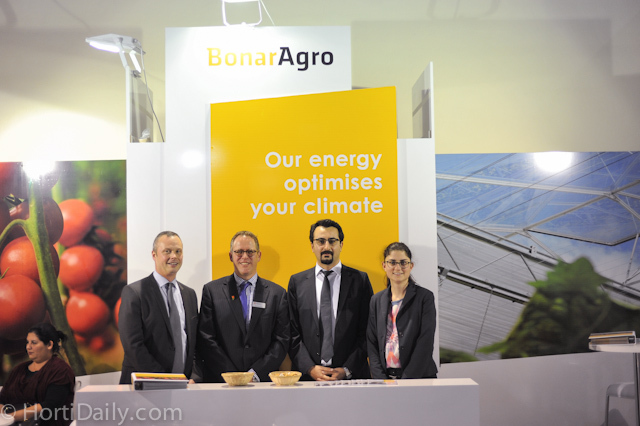 The team of Bonar Agro, the market leader with greenhouse textiles in Turkey : Peter Ollevier, Klaas-Jan De Ruiter, Tayyar Erzurumlu and Evelien Nottebaere. 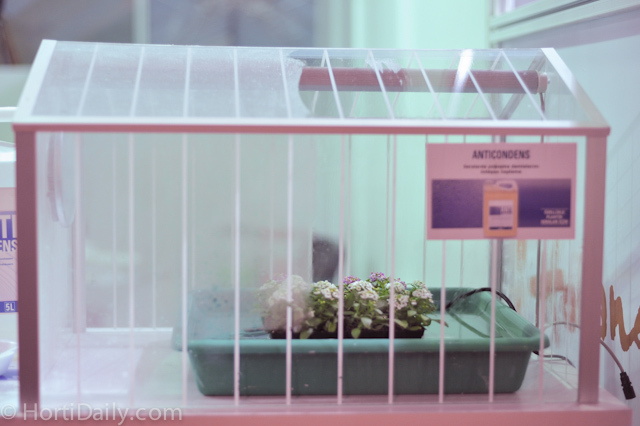 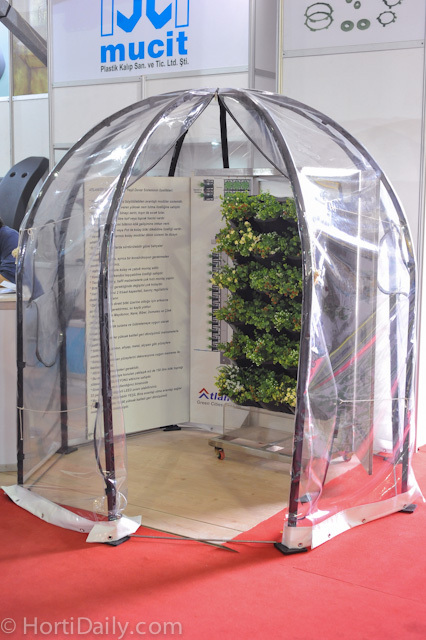 Mardenkro had a nice mini greenhouse to display the effect of their anti condens treatment. 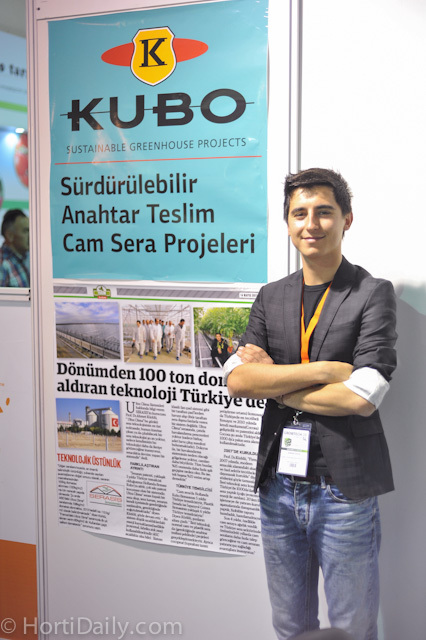 Serhet Alacaoglu of Serasis Sera; KUBO's partner in Turkey. 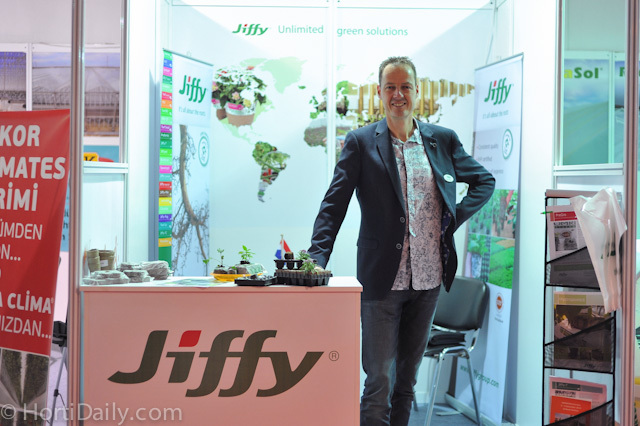 Marc de Bruin of Jiffy. 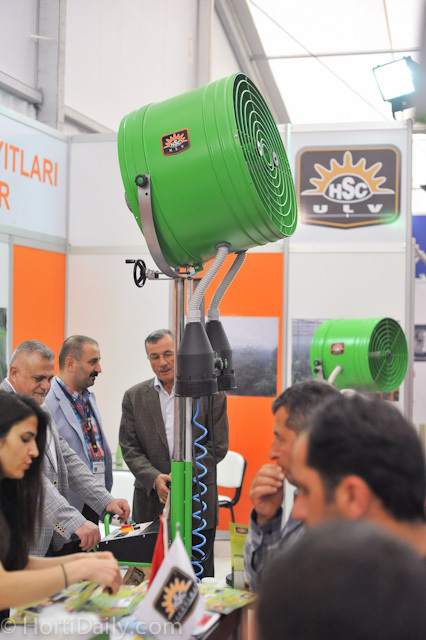 Also in Turkey, the Jiffy 7 propgation block and Jiffy Preforma plugs are very popular. 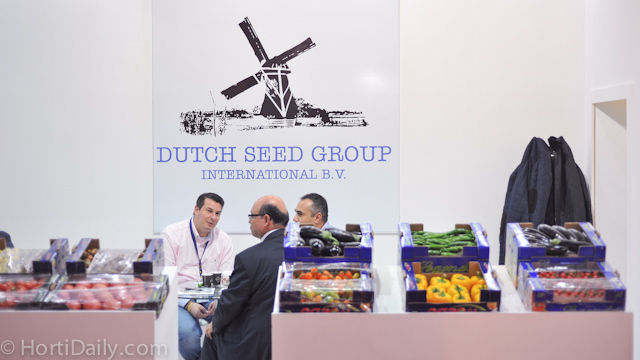 Cycklop at the Dutch stand of the NEC. 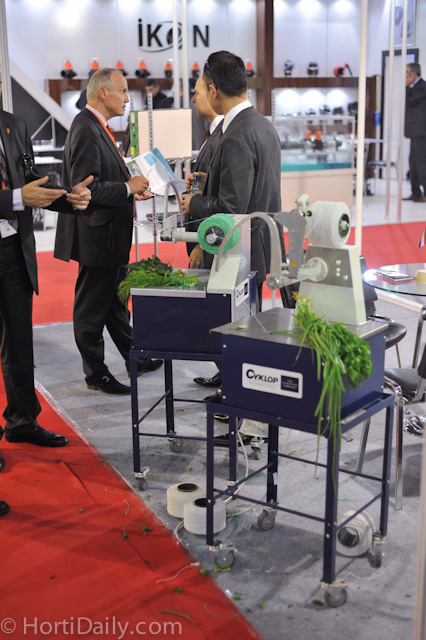 Hans Fakkert of Berg Hortimotive at the booth of Royal Brinkman Turkey. 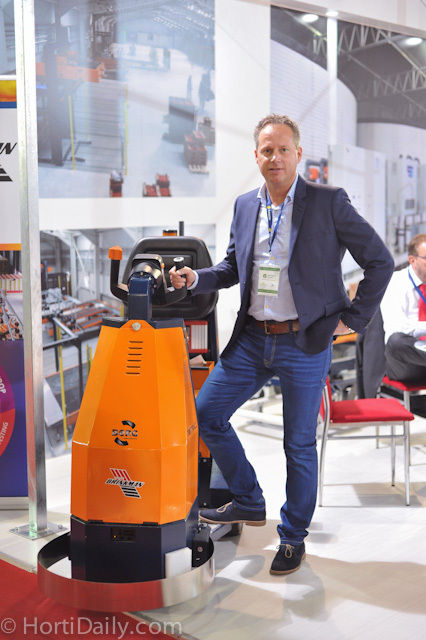 Tom Zwanenburg of Van der Waay. 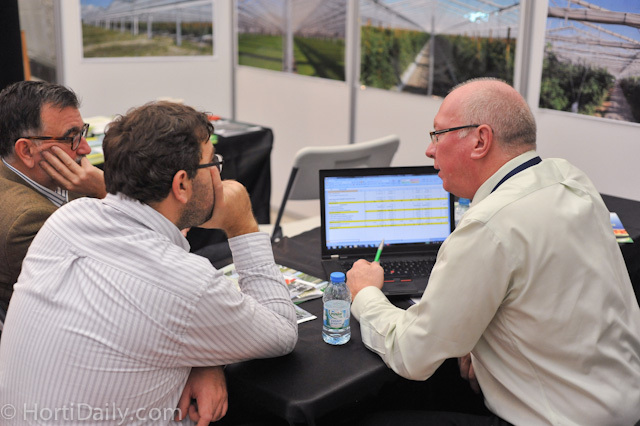 Ruud van Aperen of MJ Tech and Jelle Boeters of Patron Agri Systems at the booth of InSer. 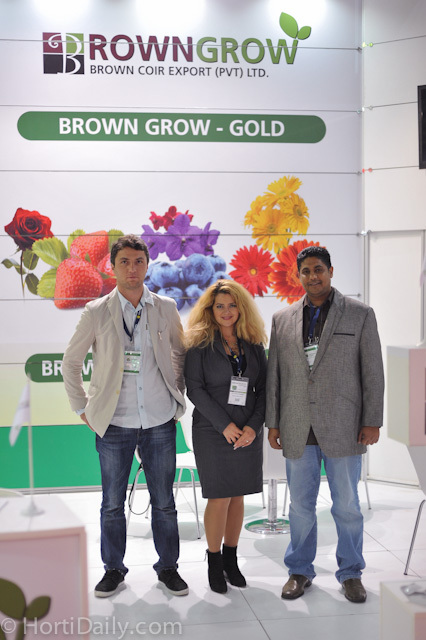 Levan Migriau, Kateryna Volianska and Chamilla Lopez of BrownGrow. 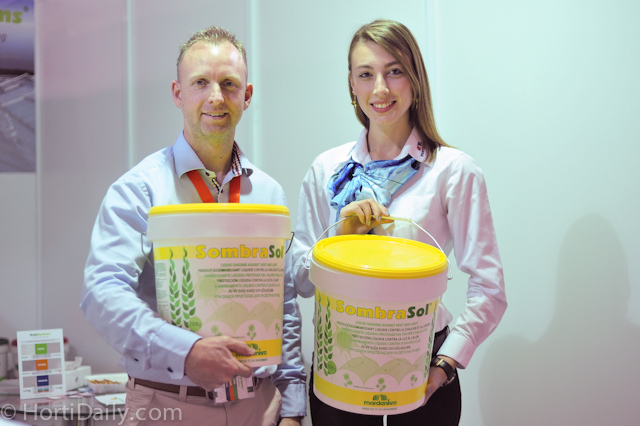 Lilian and Eassan of FibreDust. 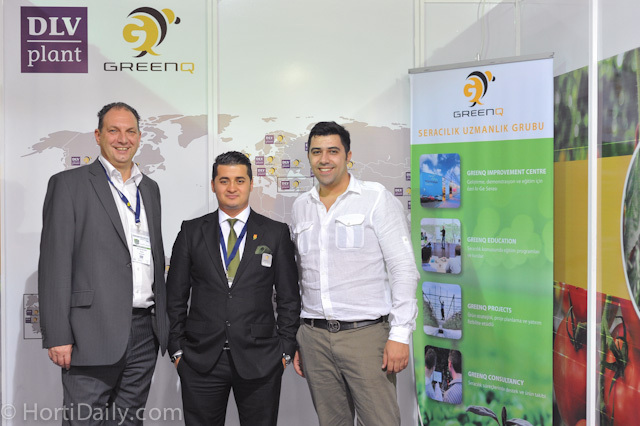 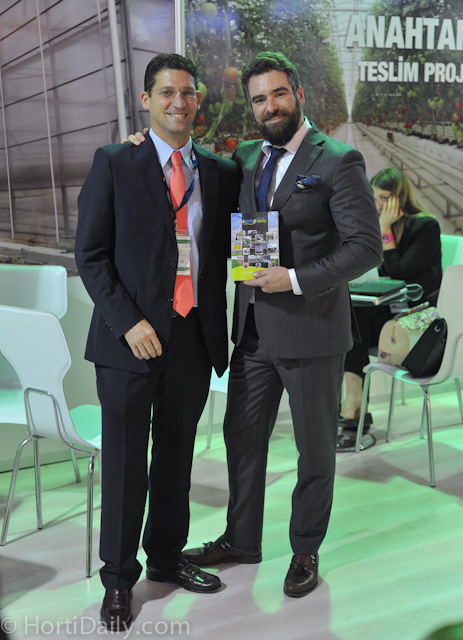 Mehmet Sait and Ertegrul Sahin of ARTCAN greenhouse development. 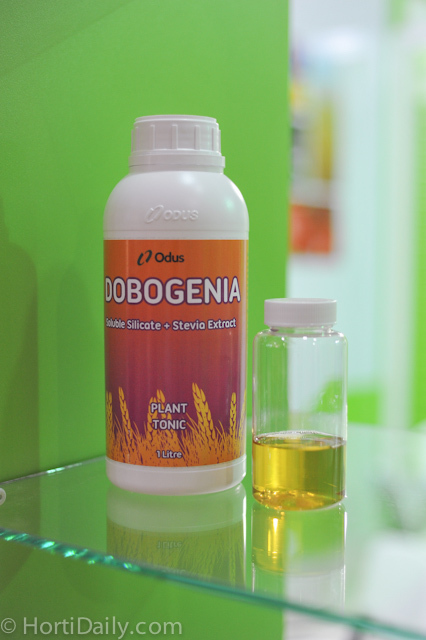 Odus' Dubogenia is a soluble silicate that includes stevia extracts. 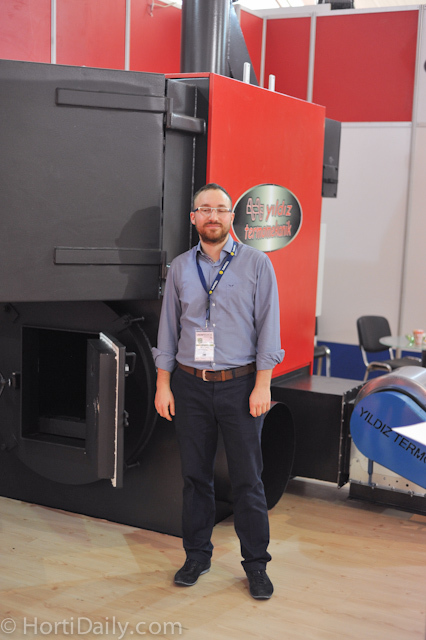 Bulut Gunes of Yildiz; Turkish made boilers. 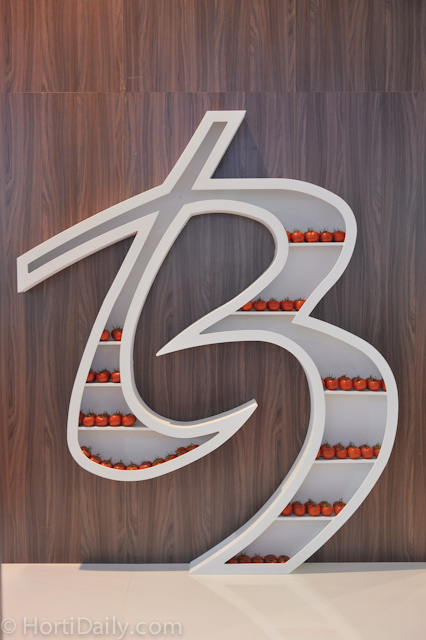 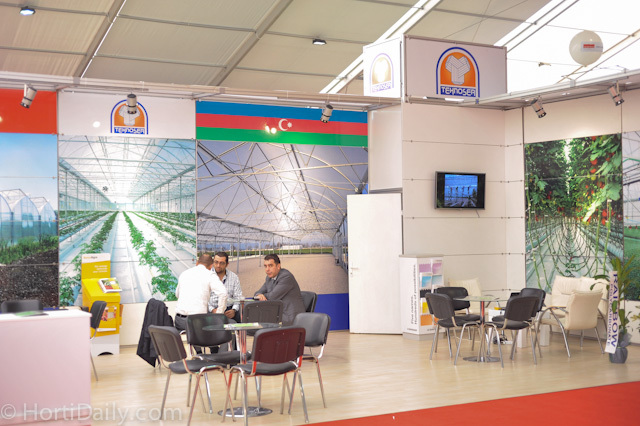 Also Russian breeder Gavrish Seed was exhibiting at Growtech. 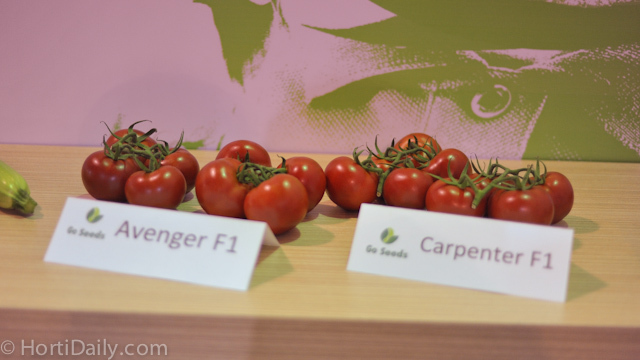 Avenger and Carpenter are strong varieties from Gautier. 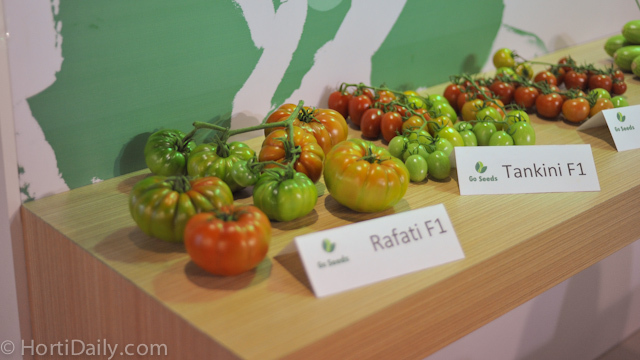 Also RAF type tomato Rafati is a popular breed. 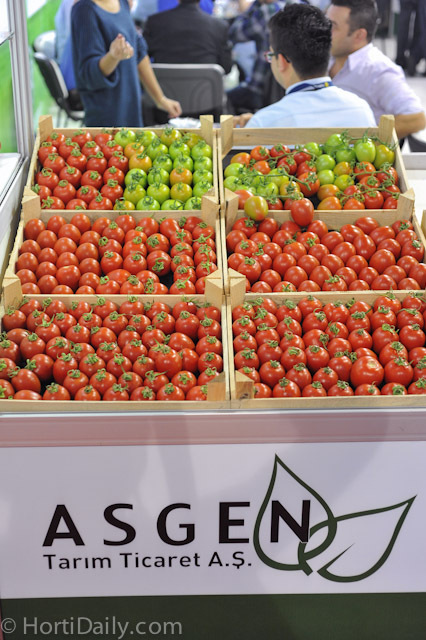 Very uniform quality of Asgen seeds. 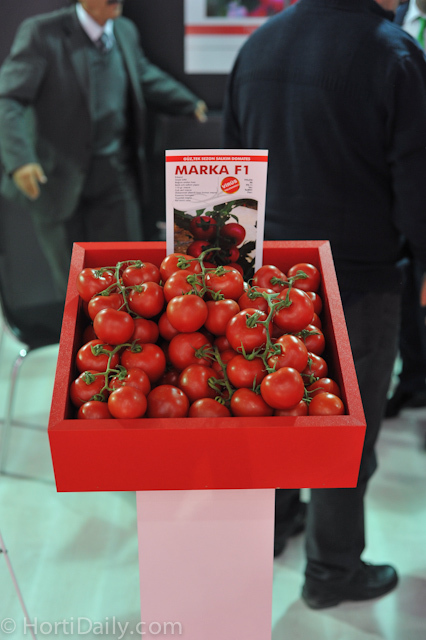 Deep red fruits in Marka TOV. 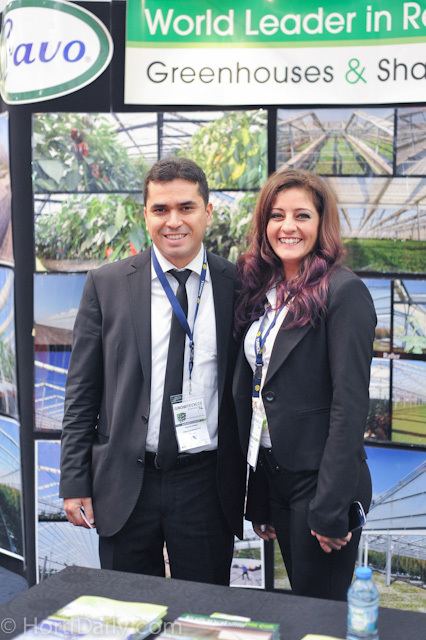 Hedieh Kookcheli and Jakob Tsonakis of DTS Tray - INA Plastics. 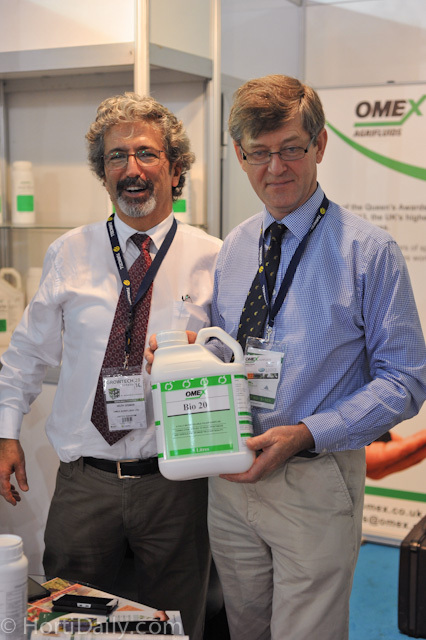 Peter Prentis of Omex together with his turkish partner. 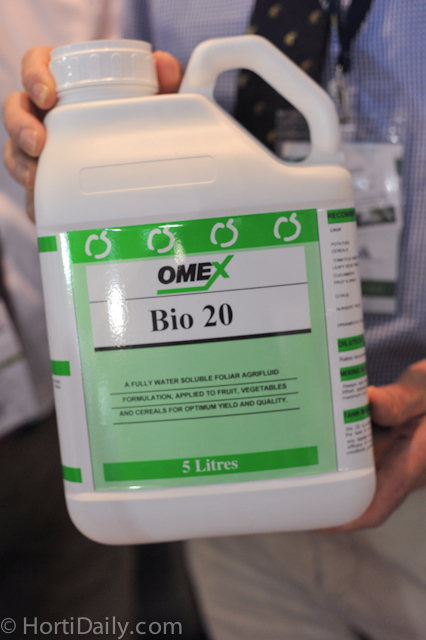 Omex Bio 20 is a soluble foliar agrifuild for root improvement. 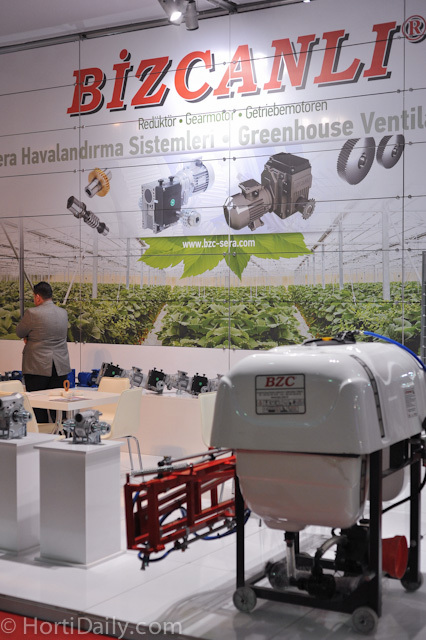 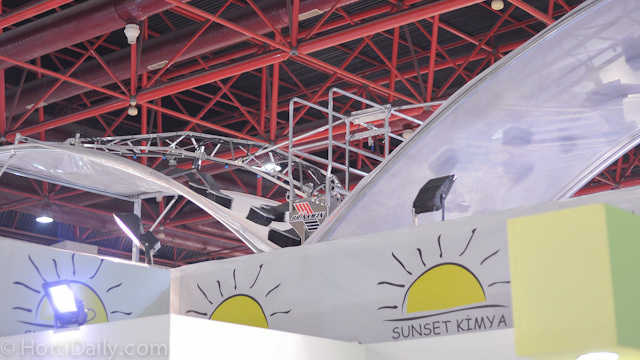 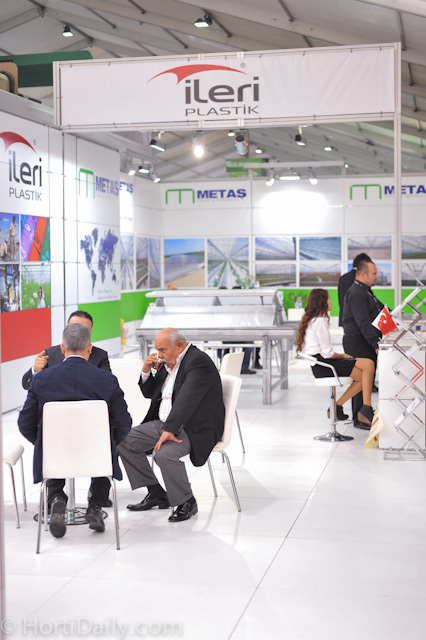 Bizcanli is a Turkish manufacturer of greenhouse technology. 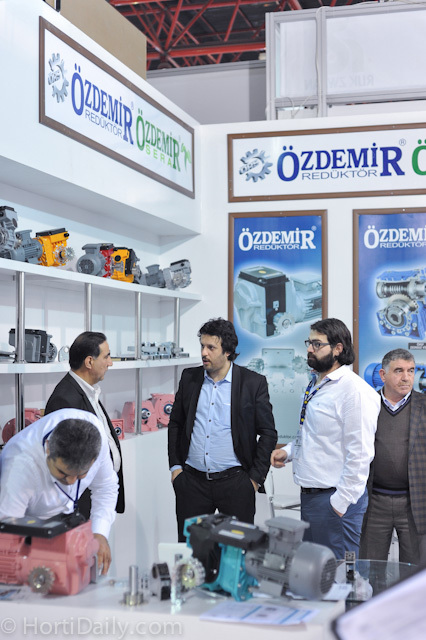 They are specialized in manufacturing drive systems. 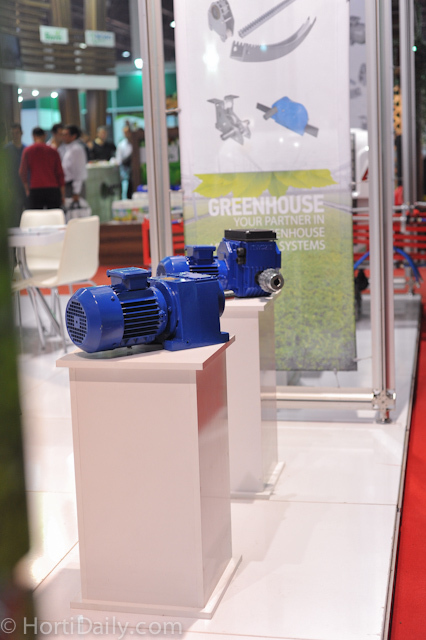 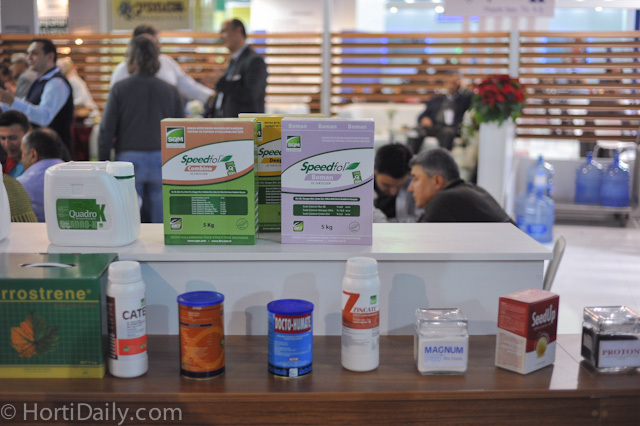 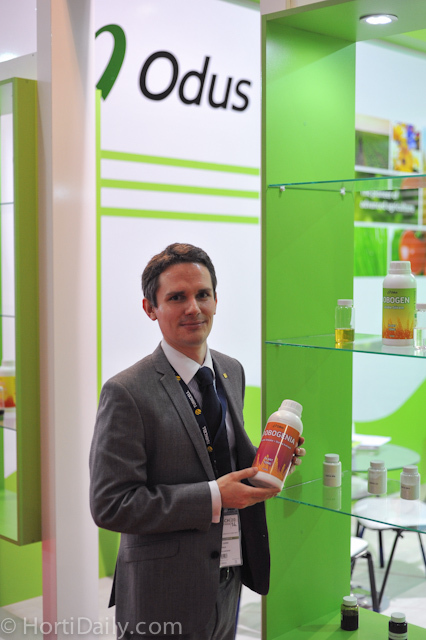 Jan Dons of Green Products was exhibiting at the show for the first time. 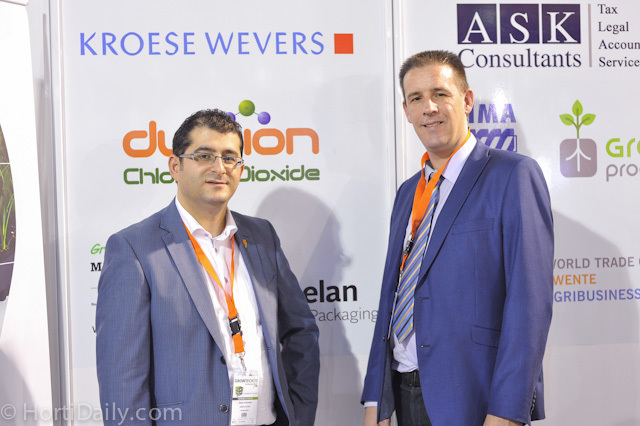 Omer Durdabak of Kroese Wevers Accountants and Mark Grobbink of ASK Consultants at the Dutch pavillion of NEC. 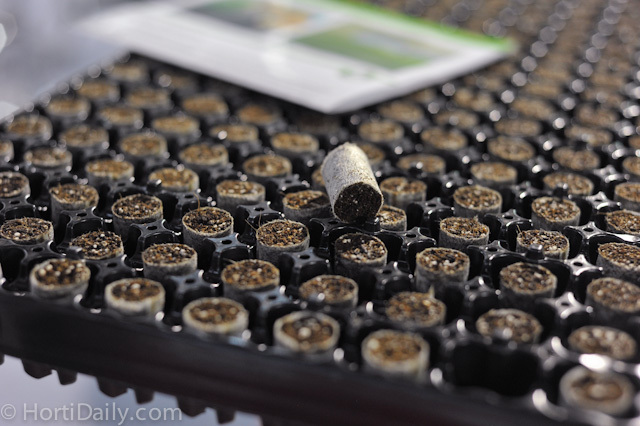 Uniform propagation plugs by Green Products. 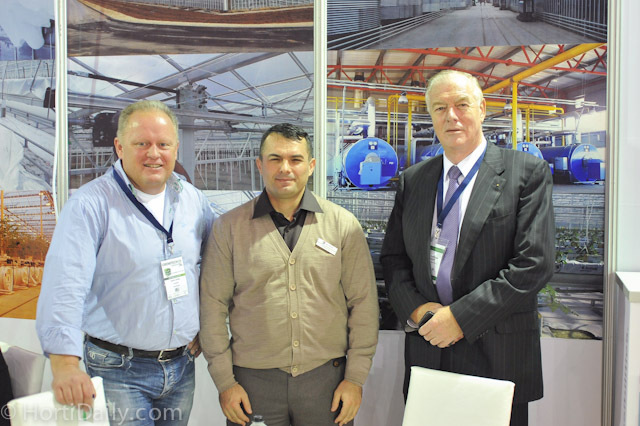 Nadir Oszoy and Wilfred Lange of FormFlex Turkiye. 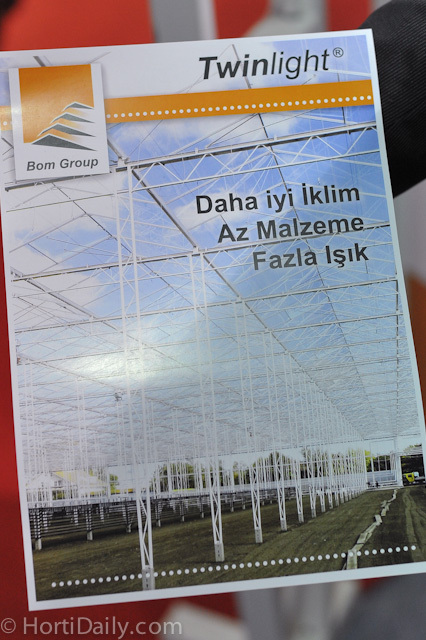 BOM Group had special leaflets available on their unique TwinLight greenhouse collumns. 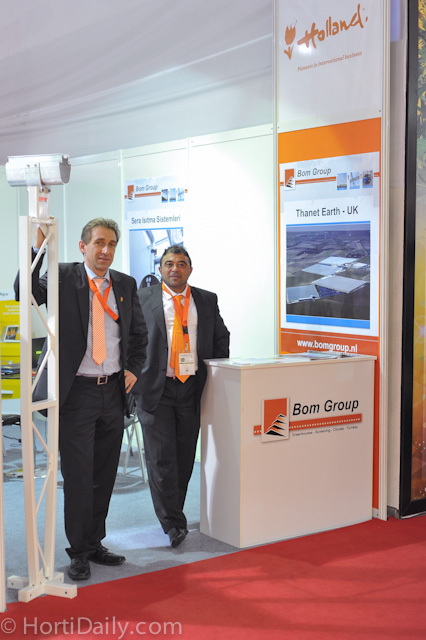 Ton Versteeg and Ilyas Buyukodabasi of BOM Group. 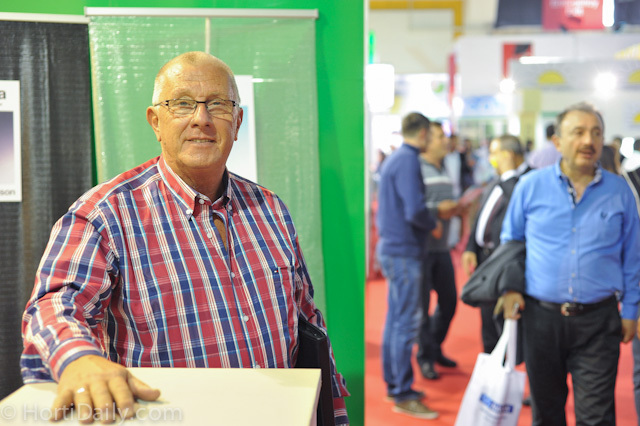 Henk Mooij of SPX Johnsson Pump was visiting the show. 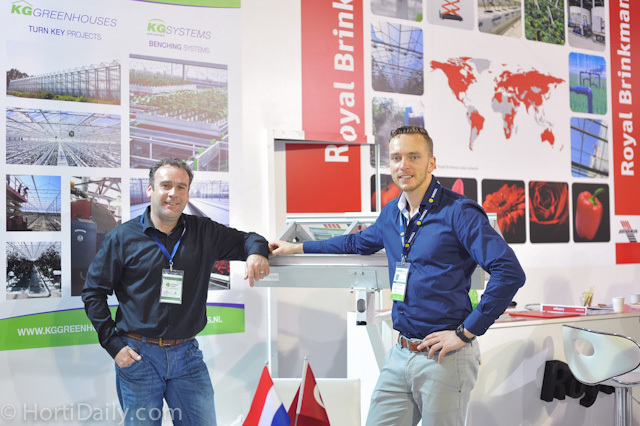 Bas Lagerwerf and Sjef Loomans of Berg Hortimotive at the booth of Royal Brinkman. 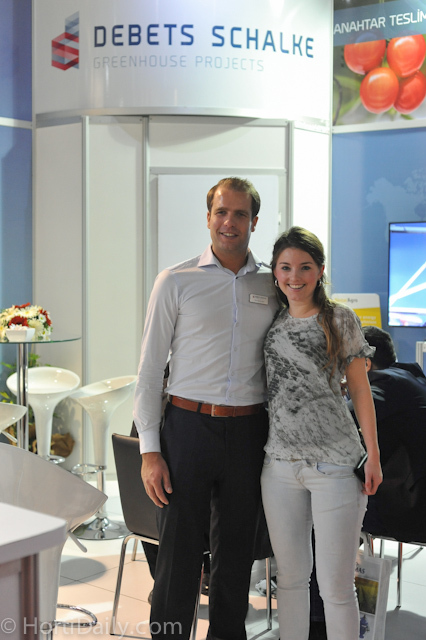 Daphne Kramer and Pascal den Heijer of Van der Hoeven. 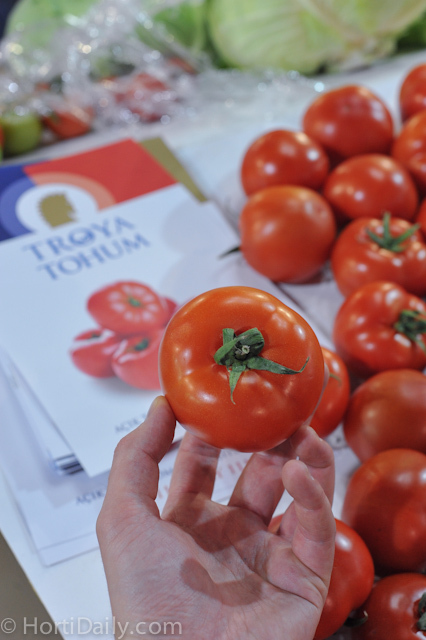 They realized the project of tomato grower Semay & Akas last year. 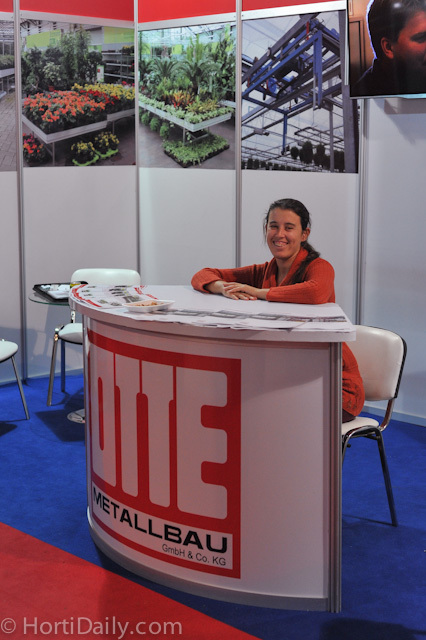 Also German exhibitor Otte Metallbau was present. 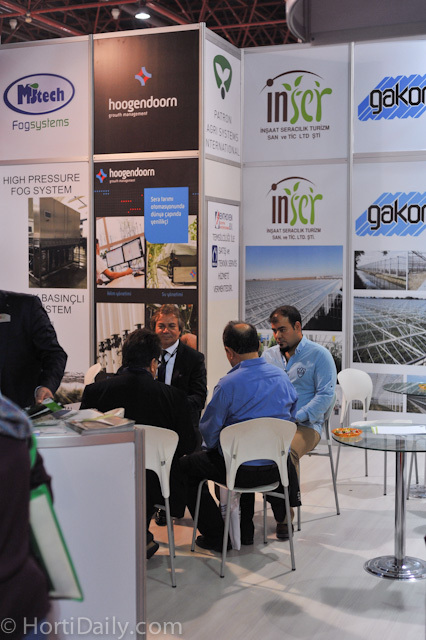 Negotiations at the Inser Booth. 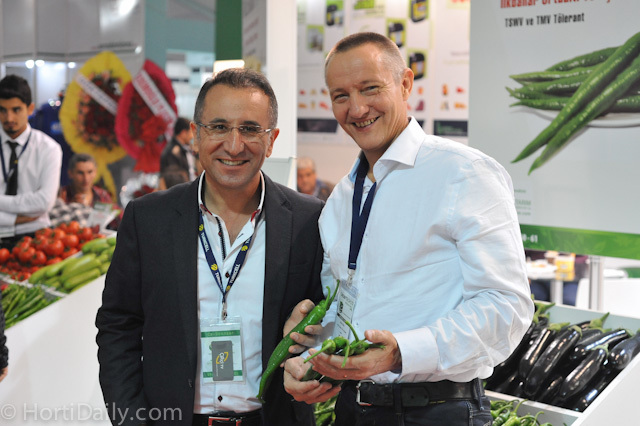 Hasan Mercan of Nassan Greenhouses. 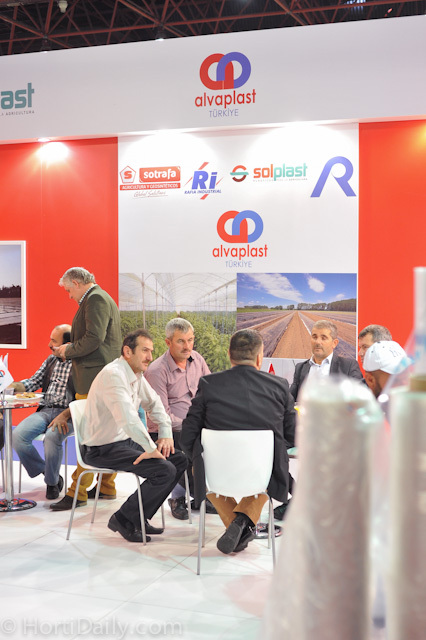 The growers of Yiğit Greenhouse and their consultant Dr.Murat Çiçekli visiting Mustafa Sert of Benimplast Riococo. 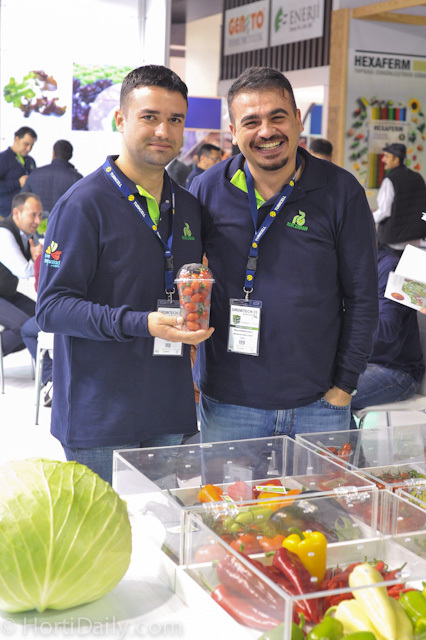 Rafael Bolinches of Projar substrates together with Juan Chamorro of Inverca Greenhouses at the booth of their Turkish partner Seratek. 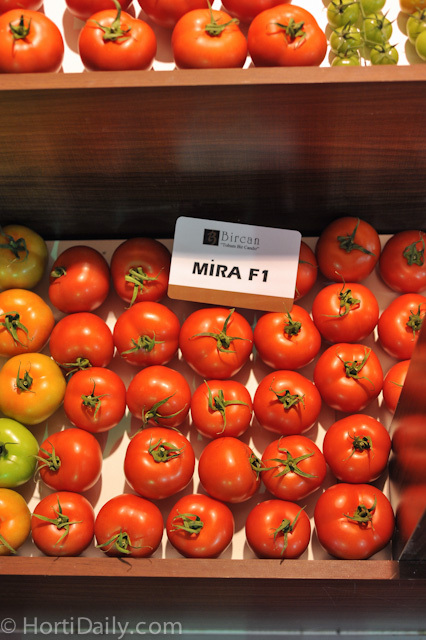 Unform loose tomato ; Mira F1 from Bircan seeds. 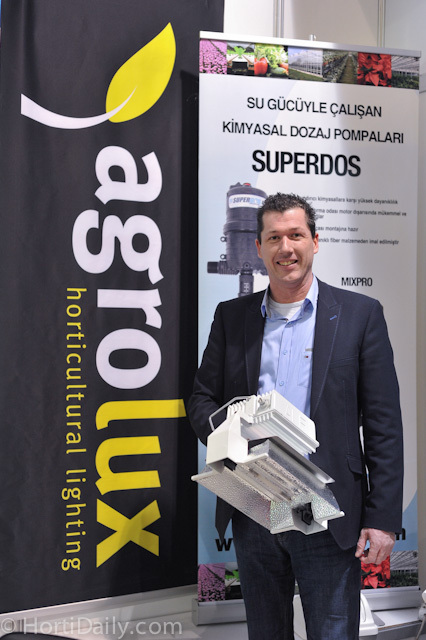 Murat Harzadin of TARTES is a partner for companies as Mardenkro and Horticoop. 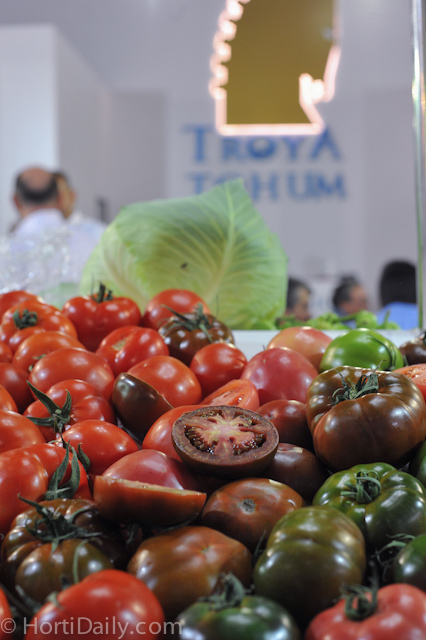 Very tasty varieties of Troya Tohum. 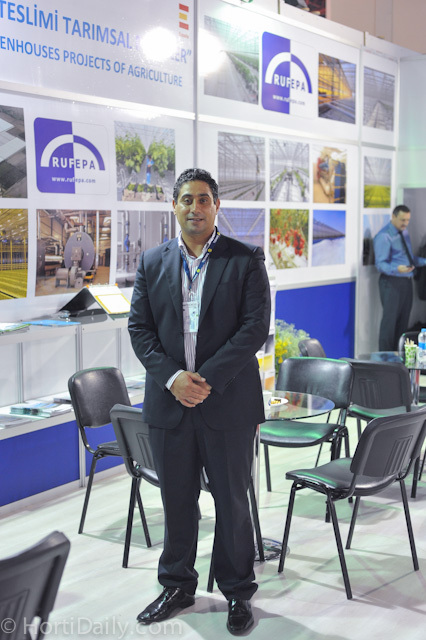 Younes Berada of Spanish greenhouse builder RUFEPA: Rufepa has been building many structures in Turkey over the past few years. 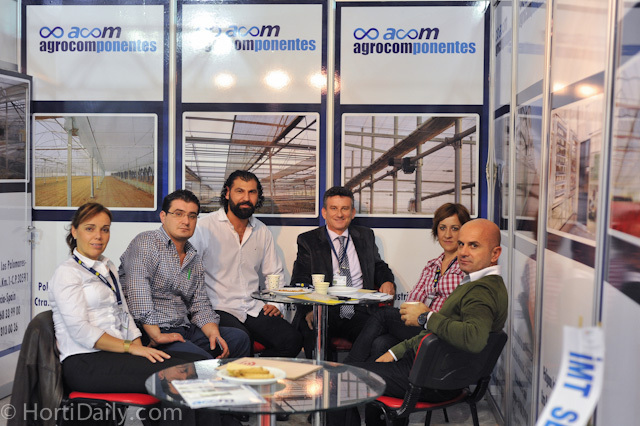 Jordi Gusi of Conic System at the booth of Haluk Atamal. 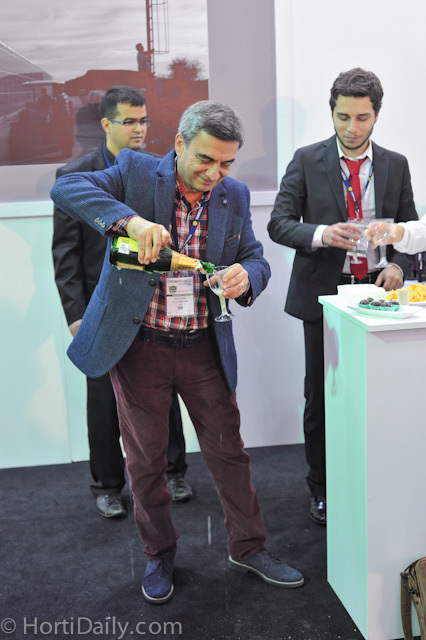 Haluk Atamal organized a very nice cocktail party on Thursday evening. 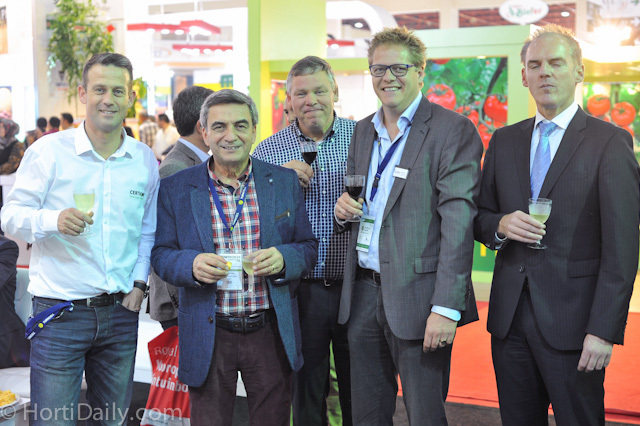 John Meijer of Certhon, Haluk Atamal, Regnier ten Haaf of Ridder, Sjaak Bakker of Flier Systems and Marc Broeren of Dalsem at the party of Haluk Atamal.